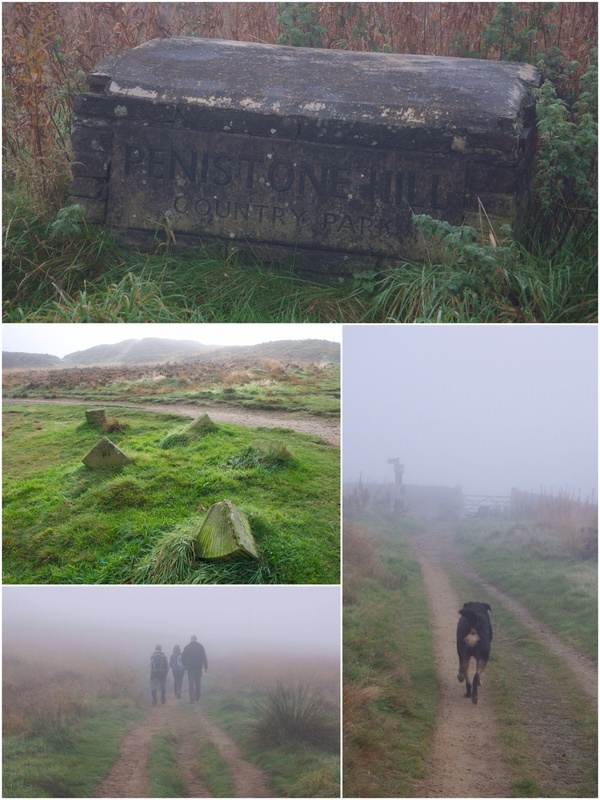 Last weekend I crossed the Pennines with my friend Lucy in tow, for the norths first coffee festival – Cup North. It was a two day event showcasing some of the country’s best coffee roasteries/baristas/distributers/enthusiasts. After enjoying a few hours tasting coffee, chatting about coffee and eating some lovely street food snacks organised by Grub MCR (Comida, Noisette Bakehouse and BarnHouse Bistro) we left suitably caffeinated to enjoy the rest of our Saturday. A few of those hours were whiled away sipping beautiful cocktails before heading out to dinner. This had been planned months earlier after reading good things about Simon Rogan’s Mr Cooper’s House & Garden at The Midland Hotel. The restaurants name comes from a Mr Cooper, whose house and garden was once on the site that the current restaurant is on. In terms of the dining rooms interior, it’s a little bit like a garden brought indoors, there’s even a tree with fake leaves, some sort of pergola I think which I did find a little odd, but hey ho, if that’s the concept their going for then so be it. The menu is more accessible in terms of price and the style of dishes compared to L’Enclume, which with its 2-starred status is high end, where this place is more relaxed, yet still want to give a fine dining experience. Apologies for the photos again, we were sat under the branches of a tree, so our dishes were often covered by shadows from leaves. I can only talk about my dishes alone, for my starter there were three meatballs cooked pink, our server had pointed this out on ordering. They were all the better for it too as they were so succulent and juicy. The tzatziki was light and frothy, and the apricot jam was thick and chunky, its jammy combination of sweet yet sharp tang didn’t overpower the meat, very much complementing it. Shame there was only three a portion as I polished them off in no time at all. Starters done, next up the main course! I quite fancied a number of the dishes off the menu, but I felt like keeping it light so went for sea bass. Whilst my friend was making all the right sounds next to me, loving her lamb dish, I thought my dish of citrus brined sea bass was excellent. 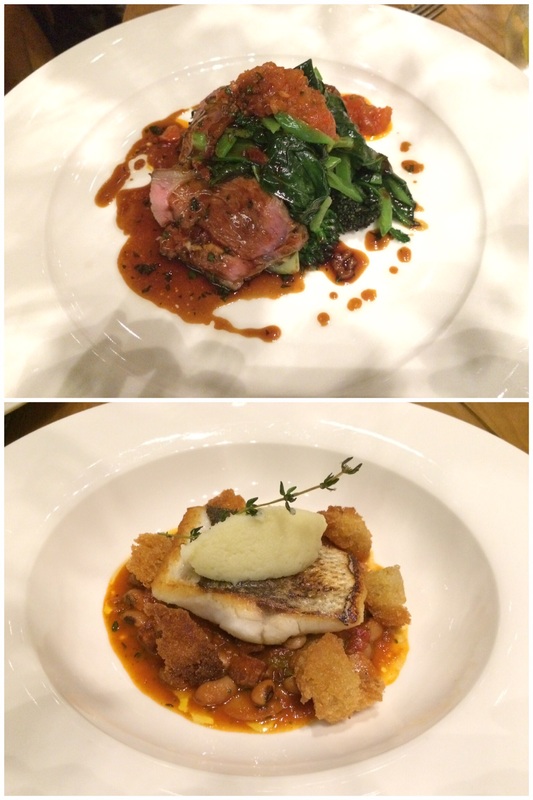 A highly enjoyable dish on many levels…sea bass with crisp skin – check, cassoulet with punchy, smoky flavours – check, crisp fried bread – check, salty shrimps – check. I just wished the sea bass was bigger but I’m greedy. But saying that neither of us were full from our meal, more like nicely comfortable which was probably just right. It was a lovely meal which set us back £78.65 with service charge. 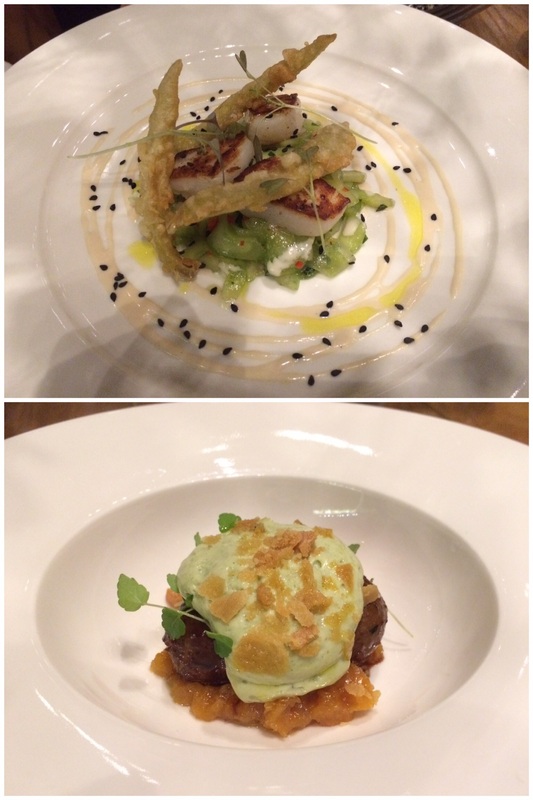 Food: Superbly cooked food, a menu with lots of interesting ingredients and deliciously sounding dishes. 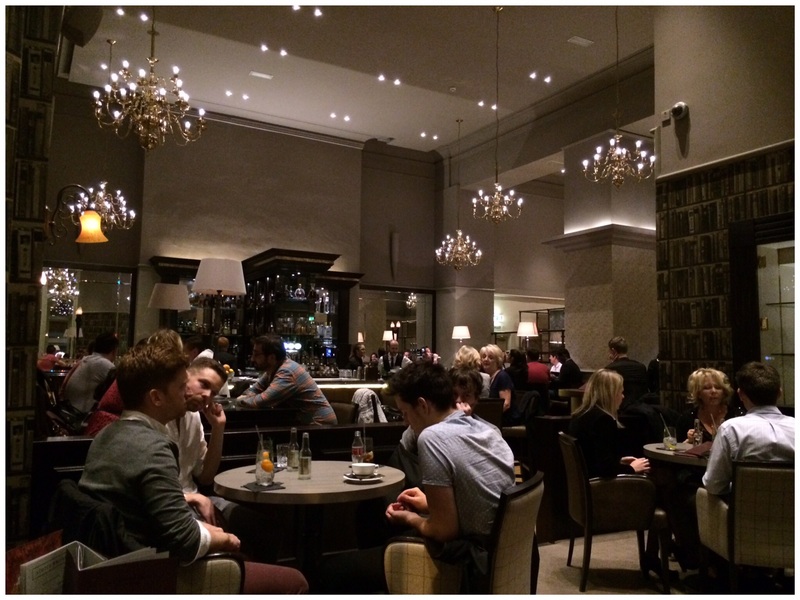 Service: Spot on service, lovely and attentive staff, there when needed. A formal dining experience with a sense of informality if you know what I mean. 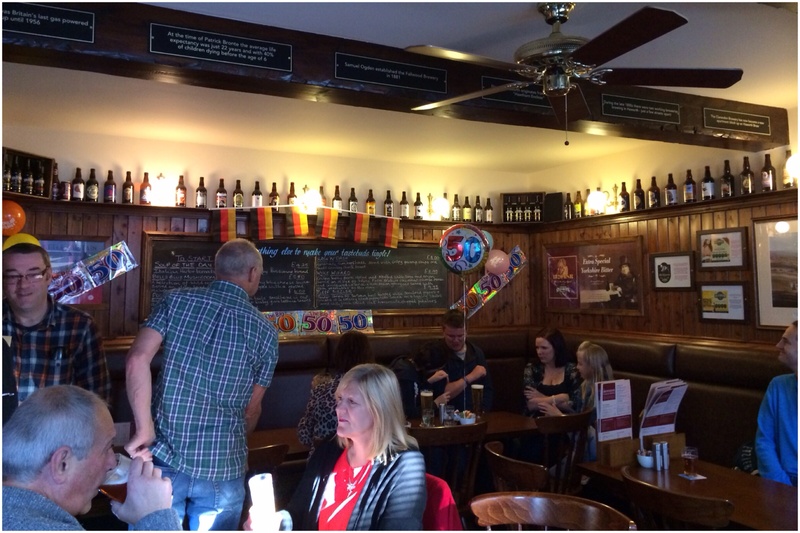 Atmosphere: it’s a popular spot so this provides a definite buzz about the place, whether that be staff doing their job or chatter from tables. Never at one time was it uncomfortable or annoying. A couple of weekends ago we had the pleasure of spending some time with relatives who live in Australia, for the short time they had in the UK some day trips were planned to show them around the area. 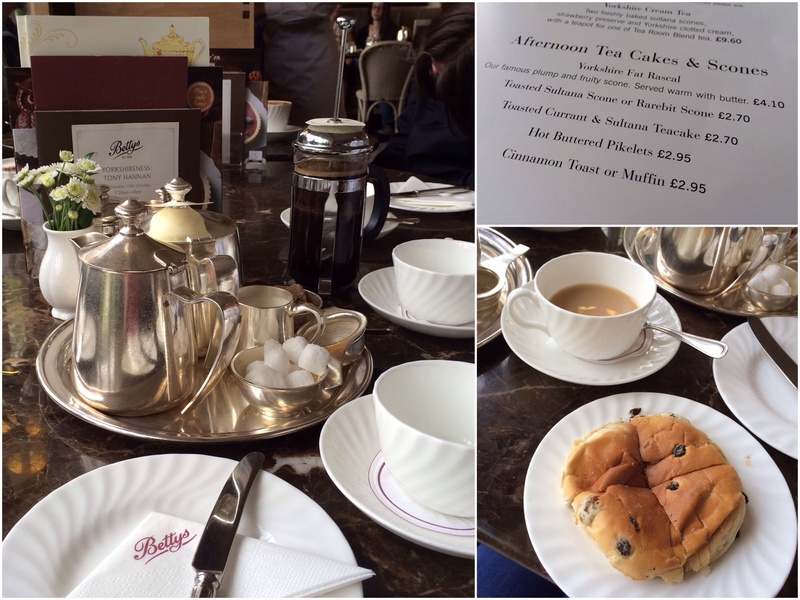 One of these trips was whistle-stop tour into the Dales, firstly popping to Betty’s for a quick cuppa and a buttered tea cake, where we got superb service throughout. 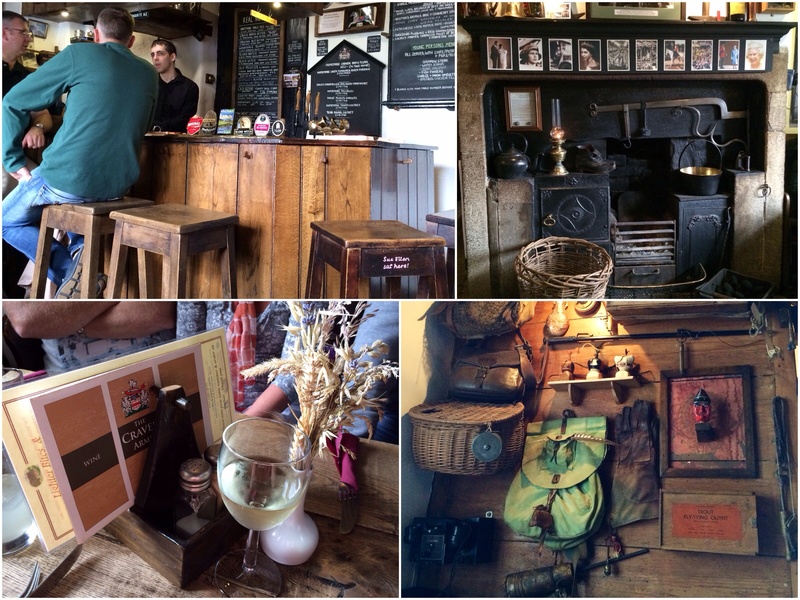 With lunchtime was fast approaching, the plan was to make our way to The Craven Arms, in the lovely sounding village Appletreewick. 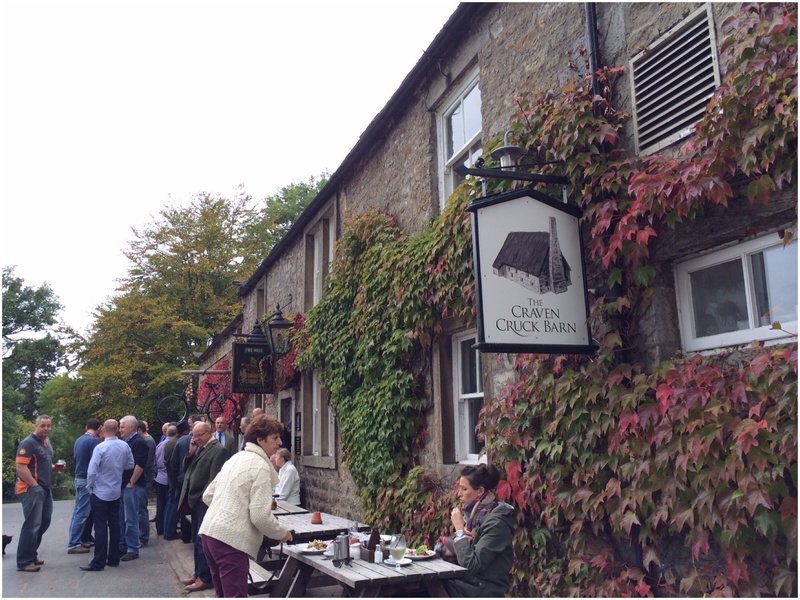 My father-in law knows most of the Dales like the back of his hand, and has visited this charming pub many a time after long walks in the area. You could tell it was a popular pub early on, as we’d passed one down the road with hardly any one there, but this one had people spilling onto the street outside! A good sign, but could we get a table for seven? After a few minutes of hunting around, a man and his partner very kindly offered up theirs as they weren’t eating, which we gratefully thanked them for. Initially thinking we couldn’t all fit around, with a little bit of budging up we managed it and decided on our lunch order. 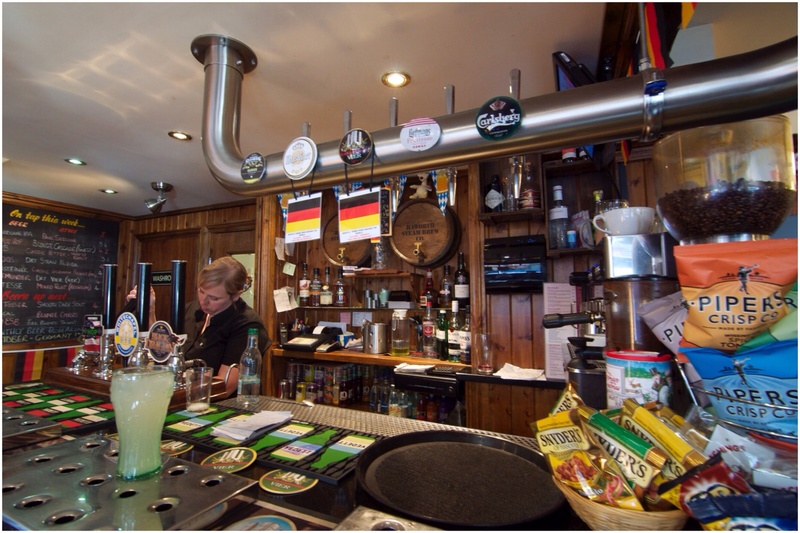 The menu is written up on black boards behind the bar with a number of family favourites, such as Yorkshire pudding with red onion gravy, beef burger and shepherds pie topped with cheesy mash potato. Great to see the chefs make use of their local produce, reading dishes using locally sourced partridge, lambs liver, grouse and mallard too. I also liked the sound of the items listed on the artisan deli menu: homemade cider flavoured black pudding, piccalilli, marmalade and chutneys. 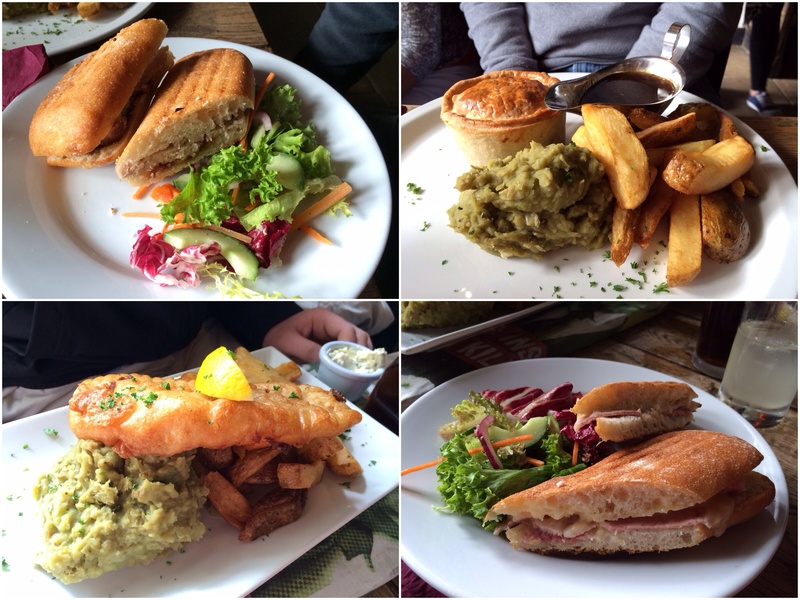 Food arrived in good time and were certainly hearty portions, I didn’t expect anything less being in the Dales. 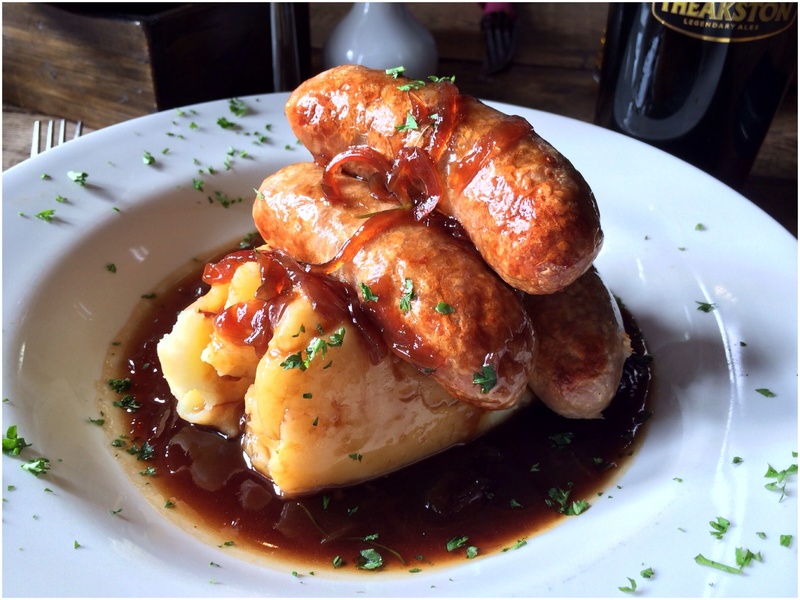 Mine especially looked massive (Jacksons pork sausages with mash)! It was so big I just couldn’t finish it, shame really as there were meaty sausages, smooth mash and decent gravy going to waste. 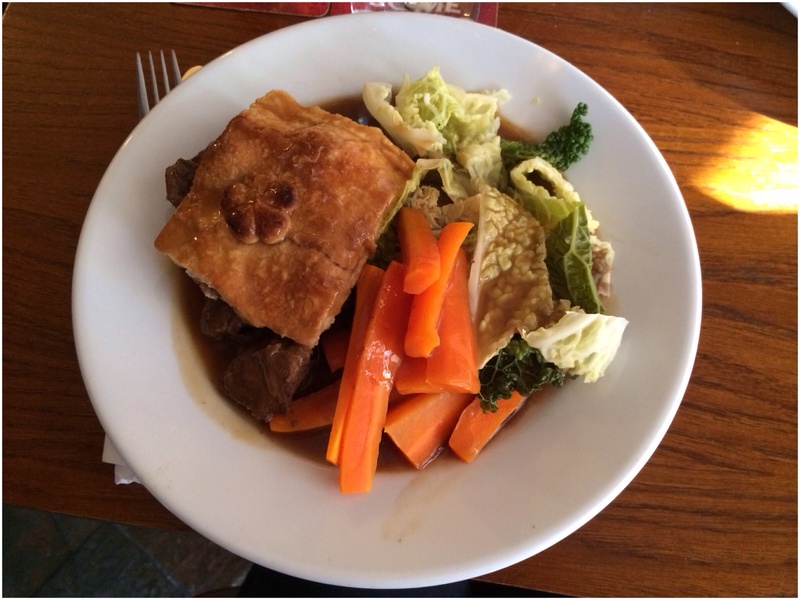 Before I got too full I did manage to get a little taster of the other half’s steak and ale pie….extremely good, light, buttery pastry the meat was tender and fell apart, came with decent chips and a rich glossy gravy. That’ll be my choice the next time I visit! 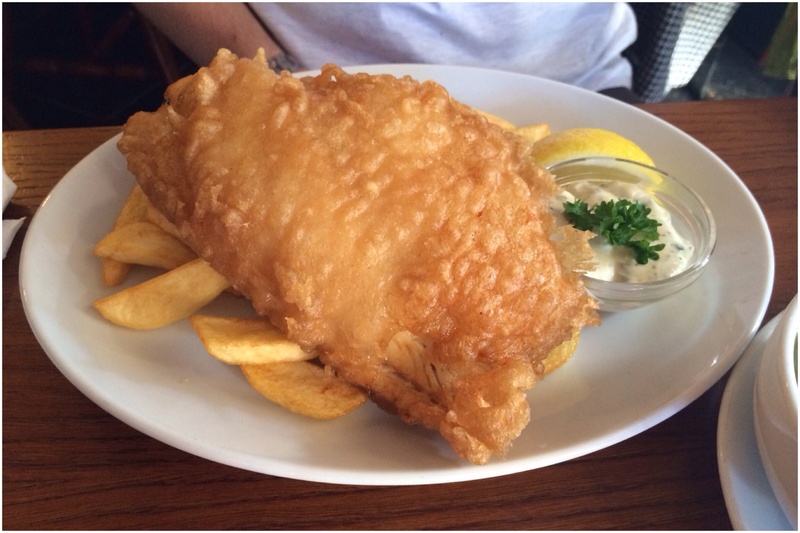 But saying that the fish and chips looked particularly handsome too. We were all pretty much full and needed to walk it off, so the last part of our whistle-stop tour was a stop in Grassington, straight up the Main Street, passed The Square and back around, it was a shame we were running out of time and could’ve spent a little longer absorbing the area more, but a lot had been planned into one day. 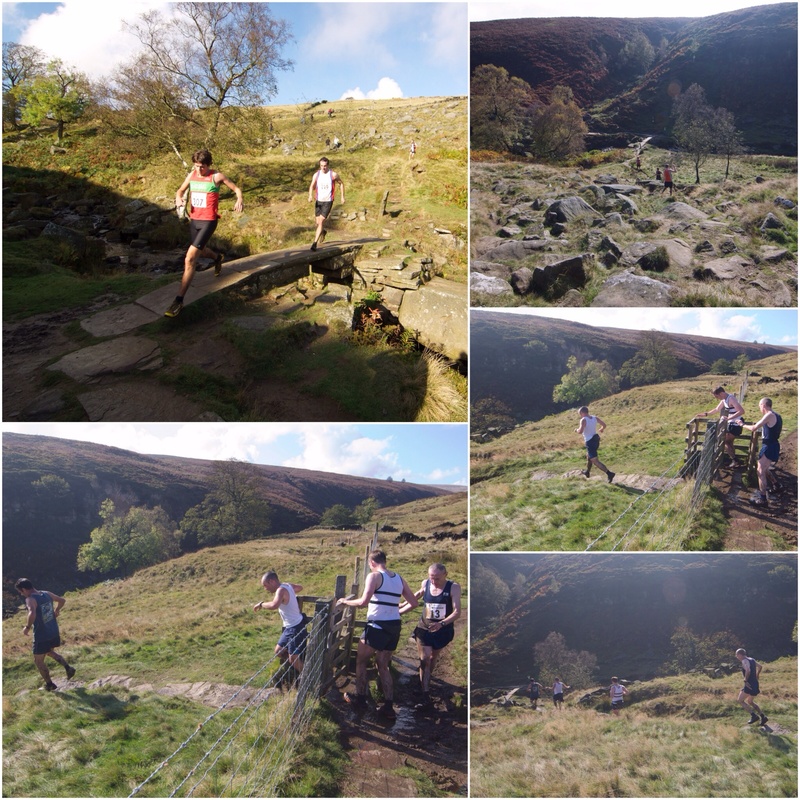 From the response of our visitors, it seemed like the day had been a success, they got a taste of the Yorkshire Dales. Lunch for seven people came to £97.10 with drinks. 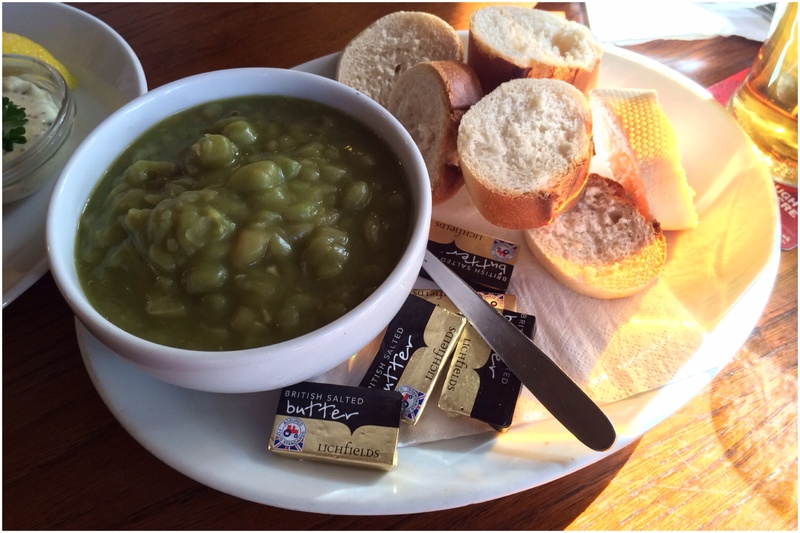 Food: hearty, uses local produce, decent portions, filling. Service: lovely staff who were friendly and helpful. 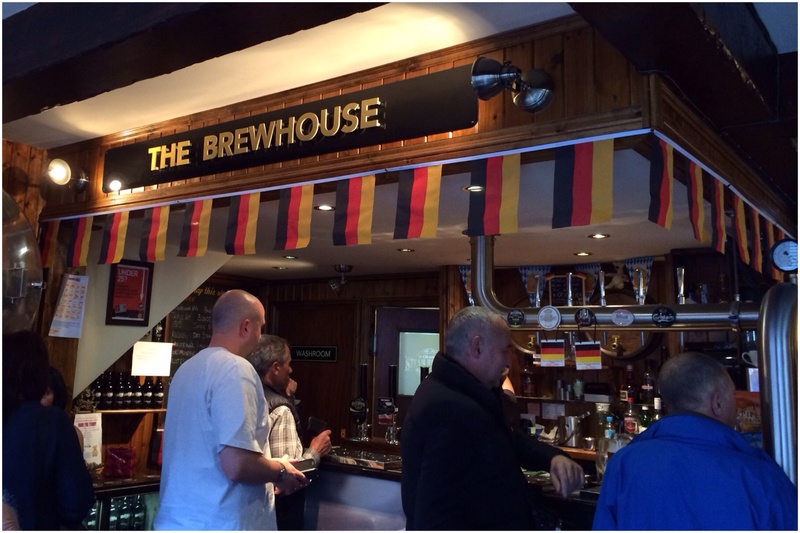 Atmosphere: it has a buzz about the place, filled with many locals and visitors. 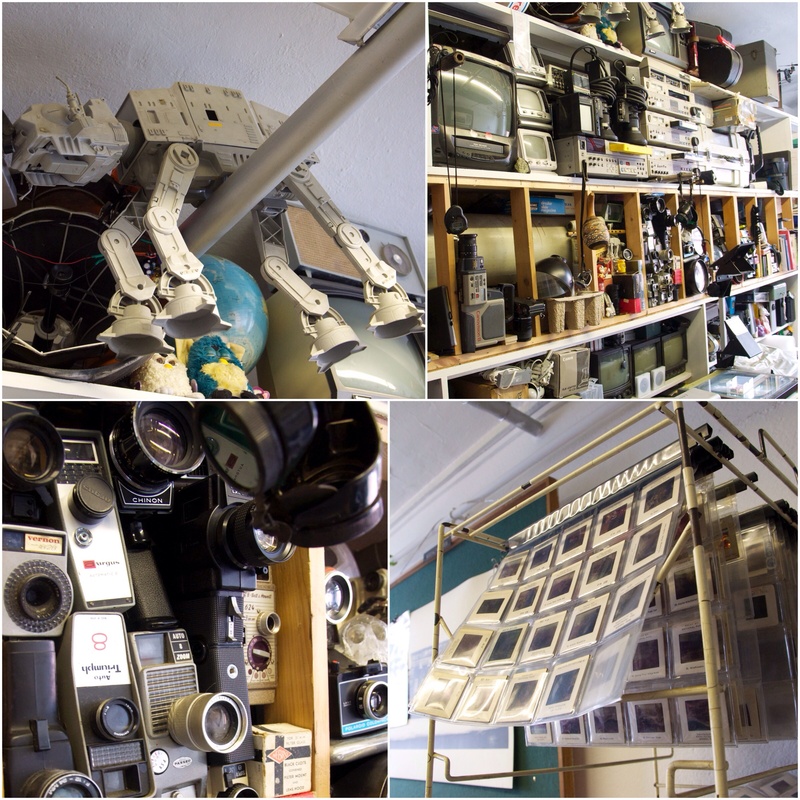 Have you heard of Heritage Open Days? I hadn’t until last year, wanting to find out, a little research told me it was four days of cultural events held in September. Many historic buildings and monuments around the UK, many which are normally closed, would open their doors to the public. 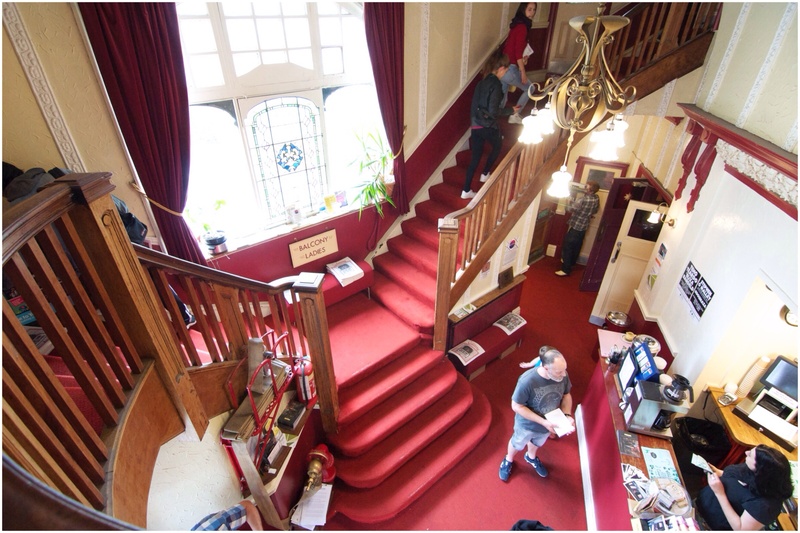 Heritage Open Days have actually been going since 1994, to my surprise and occur throughout Europe, all with the aim to make the public more aware of their cultural heritage. 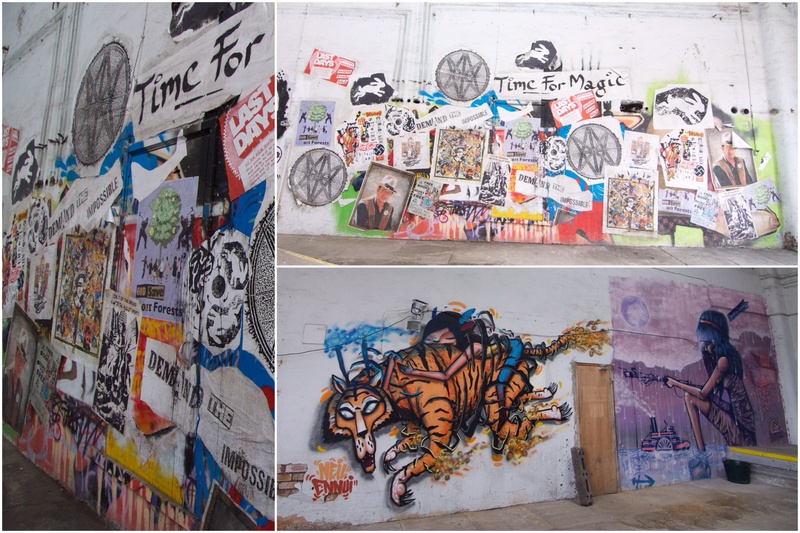 From a list as long as your arm, a few really caught my eye; Temple Works, Hyde Park Picture House and Kirkgate Market. Unfortunately school kept me from touring the market, but I managed to reserve spots on the other two. 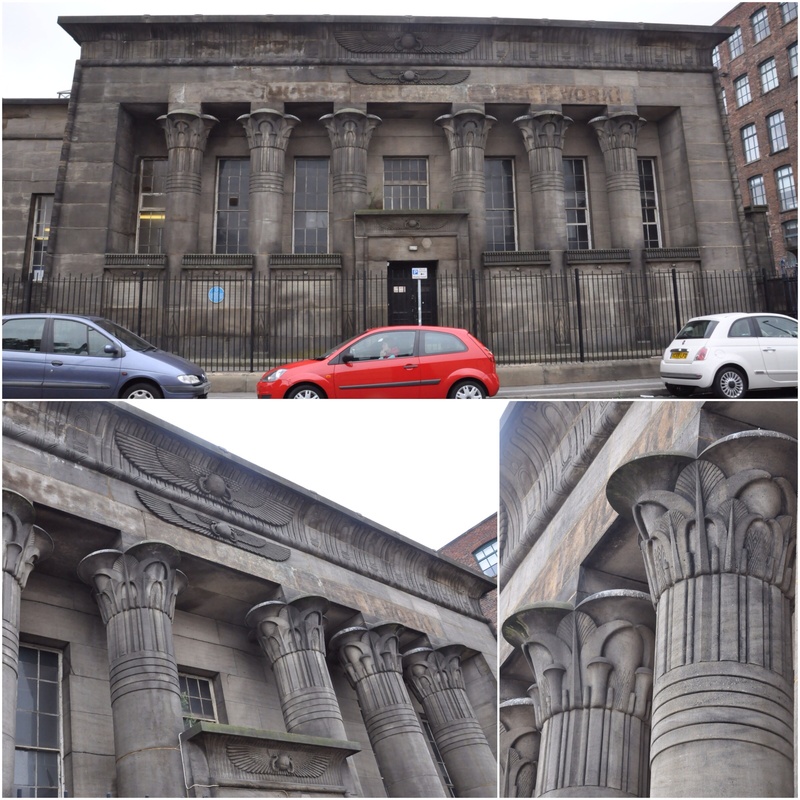 My first tour was to visit Temple Works – a Grade I listed building with a remarkable history, driving passed on a number of occasions I’d seen this unusual facade, but I’d no clue what the building was. Found on Marshall Street in Holbeck, about five minutes walk from the Cross Keys pub. Built as a flax mill by the industrialist John Marshall, a man well known for his exploits with mill buildings (he also built the neighbouring building Marshall Mills). This mill was unlike others, because on first glance it has an unusual exterior, which looks completely out of place compared to its surroundings. 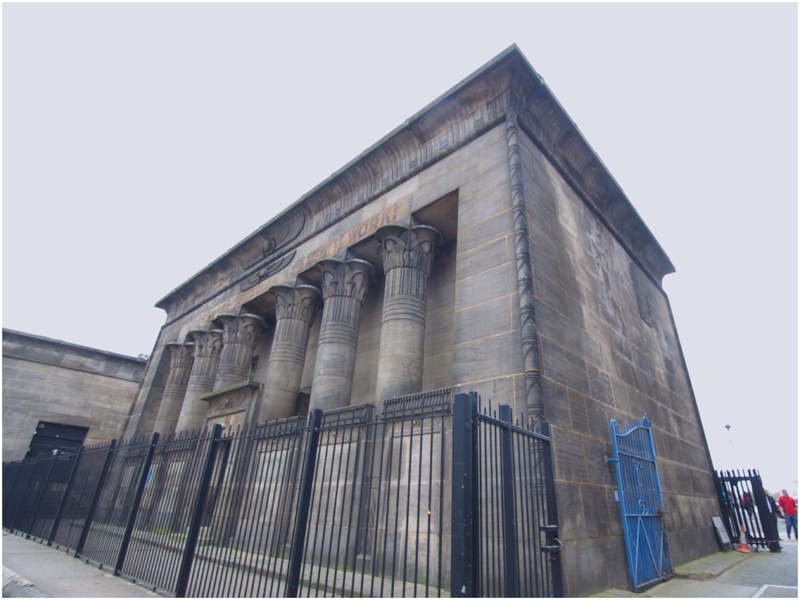 Its facade was designed by John Bonomi and resembles an Egyptian building. 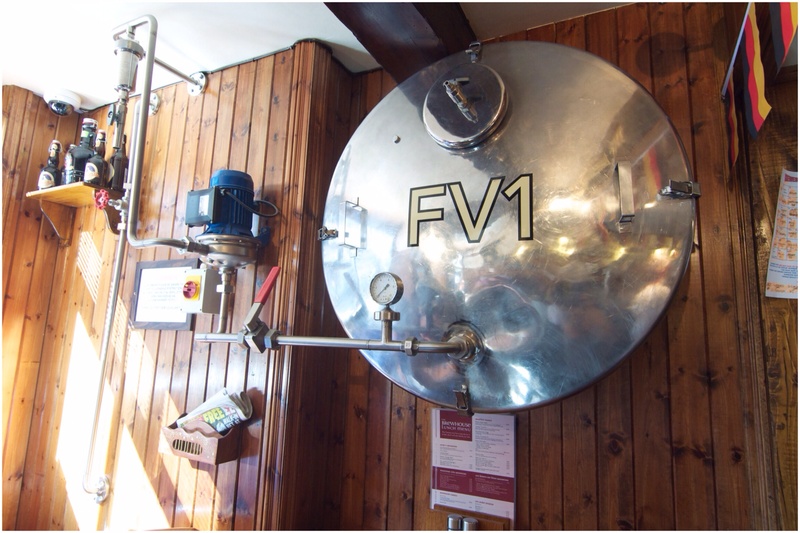 Another unusual facet to the mill – it’s just one floor, other mills had multiple floors, this would helpfully reduce the chance of deaths in event of a fire. But it was the design of the Main Space which was flawed from its inception, and the consequences of this were eventually too much for the integrity of the building. 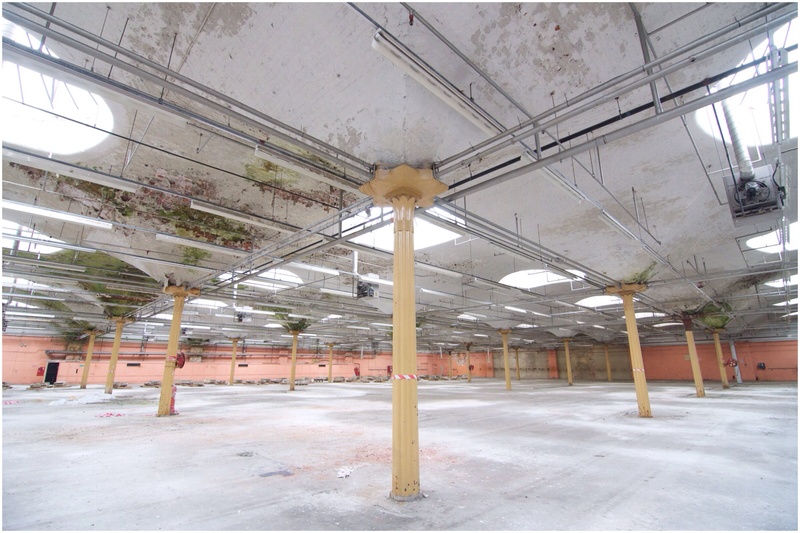 The Main Space; once the world’s largest single room was to have skylights right across the masonry ceiling providing natural light. 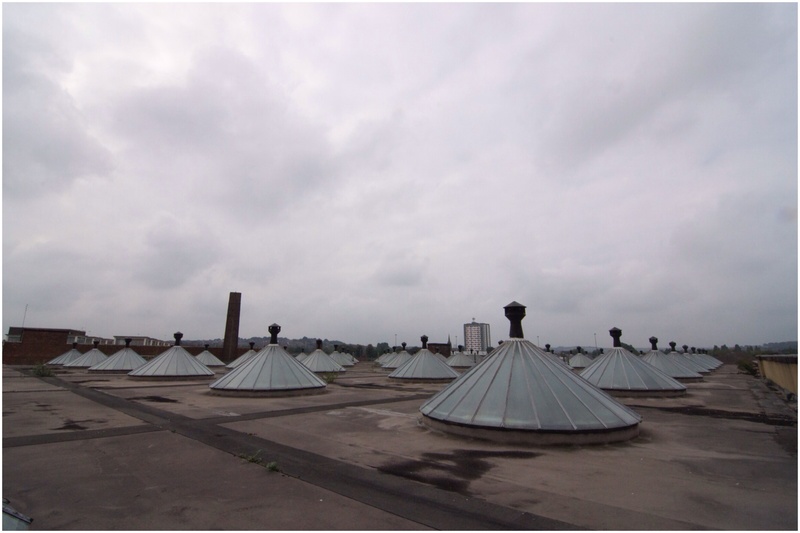 The roof was even covered in grass to keep the flax mill humid, stop the environment becoming too dry and reduce the risk of fires. There’s even the strange, but true story of sheep on the roof to maintain the length of the grass!! How did they get onto the roof? Via a sheep lift…how else?! 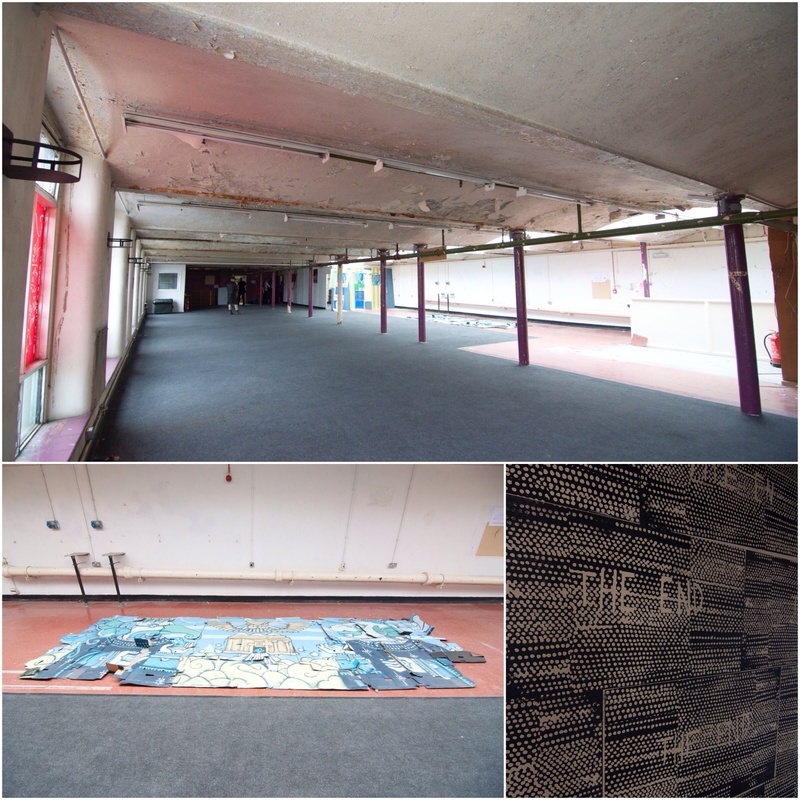 For the last few years the building has been managed by Temple Works Leeds, the building’s been used faithfully and has developed a culture of ‘living heritage’, where the space is used by a diverse range of creative minds; artists, actors, photographers, musicians, film production teams and much more! It’s become a very popular place for filming horror and sci-fi, not surprising as it has a weathered and worn, semi-derelict appearance. The structure of the Main Space was dependent on the dynamics between the roof and pillars which helped hold it up. Unfortunately, it was too great and its integrity couldn’t be maintained, even after tensioning rods were added. To get the building structurally sound again will take a lot of planning and funding, their aim is to raise enough money in order to do this. I’ll look forward to seeing that happen in the future. 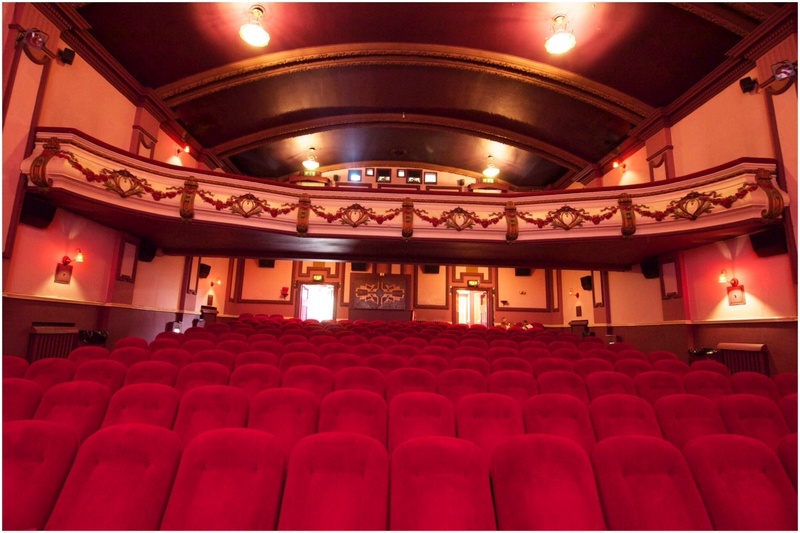 The second visit was at one of my favourite places in Leeds, I’m a massive cinema goer and have grown up loving films and the history of them. 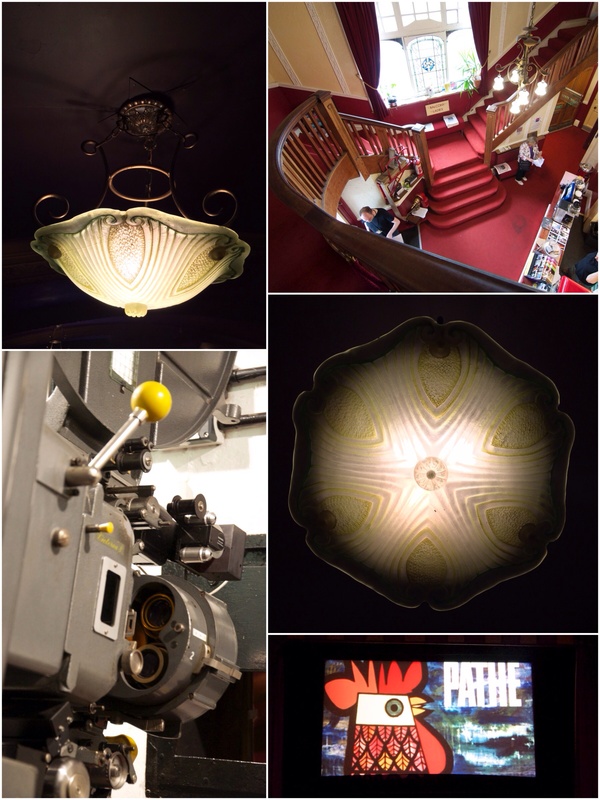 So being a bit of a film geek, I jumped at the chance to get on the list for the tour around Hyde Park Picture House. 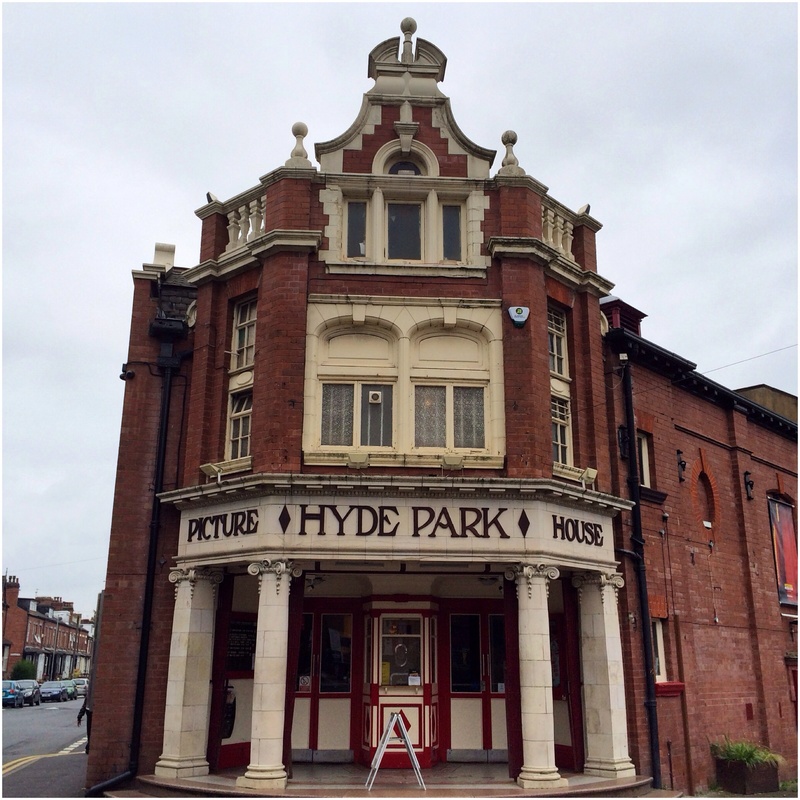 I’m sure Leeds folk don’t need any introduction, but for those who don’t know this gem the Hyde Park Picture House was first opened in 1914, with self-titled name ‘the cosiest cinema in Leeds’, a title they still try to hold up to even now. It’s been a city landmark ever since, and even though I live nowhere near the Hyde Park area, I still come to watch films here. It’s a pretty special place! 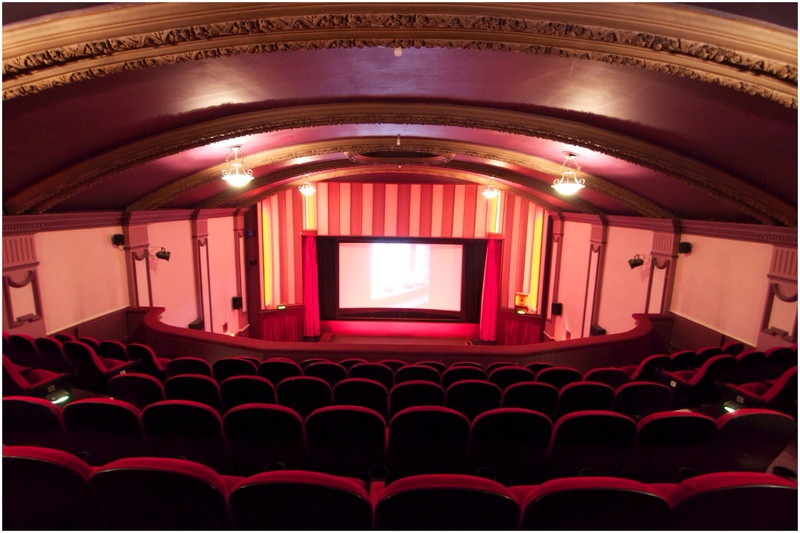 Apart from being able to wander the theatre freely and admire its beauty, one of the joys of the visit was having a sneaky peek in the projection room and get close up to their 35mm projectors. 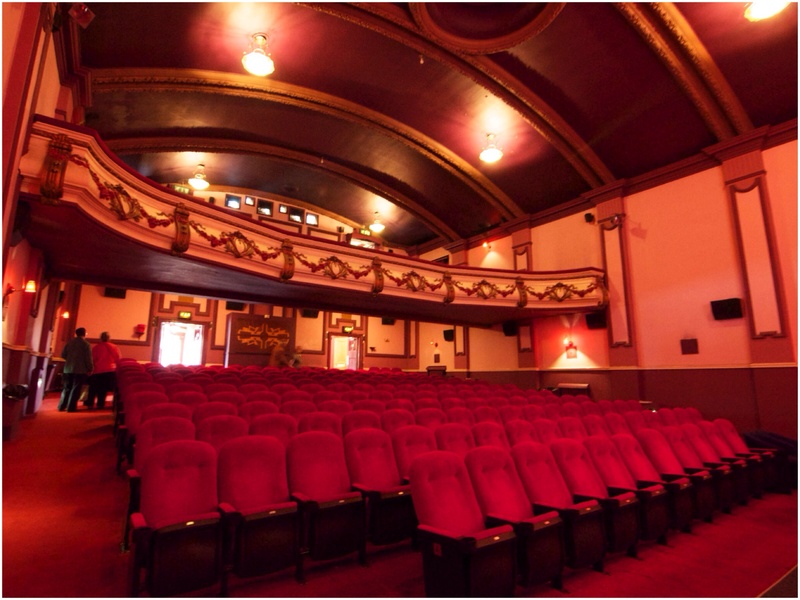 Only three exist in Leeds now, two here and one in the Cottage Road Cinema. Of course, they’ve had to keep up with the times and go digital too, but it’s still the old school stuff that does it for me. Ever since watching the classic Cinema Paradiso I’ve always been intrigued about what goes on in that room. 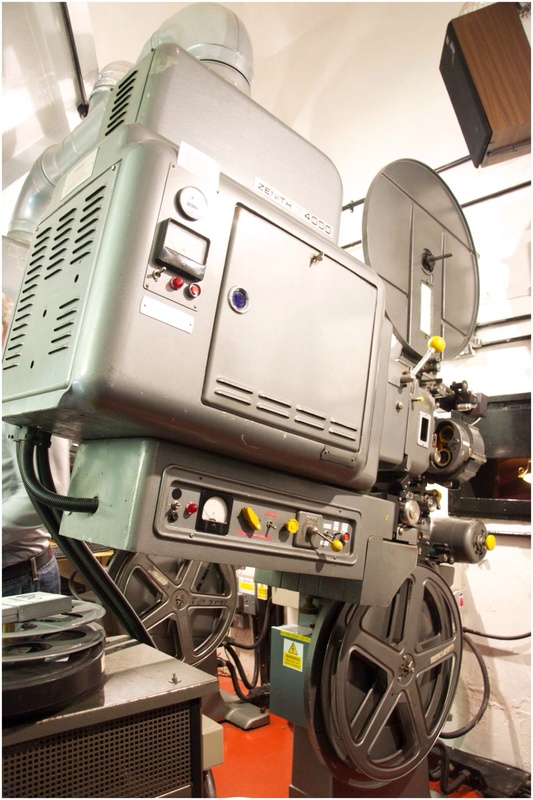 The projectionist, who also works at Bradford’s National Media Museum had been in the job for the past fifty years, definitely a job for life! I really enjoyed listening to people who know these institutions inside and out. 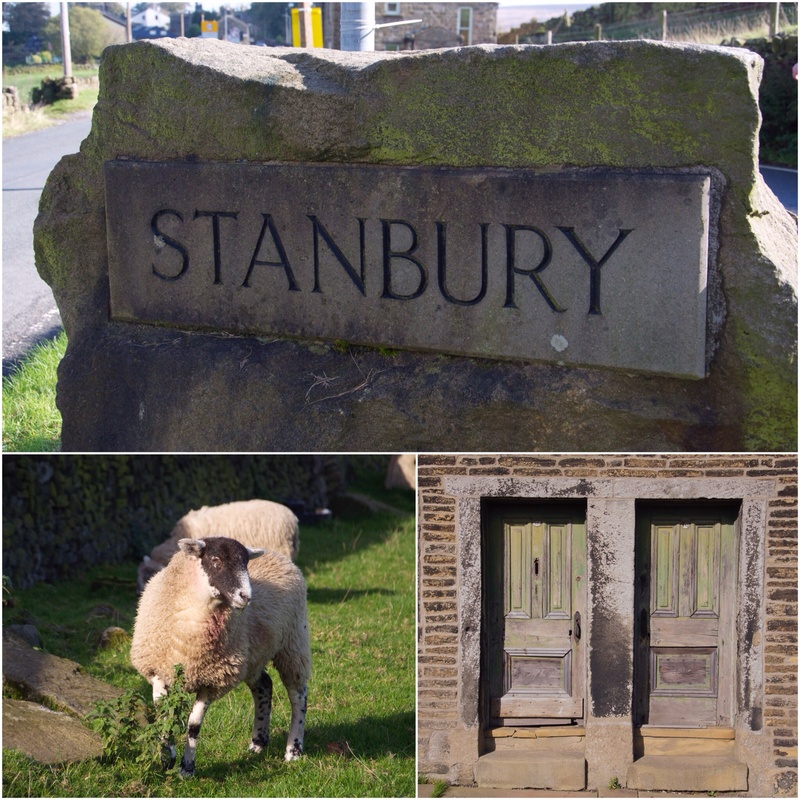 It’s a great way of getting to know more about the cultural heritage of your local area, it was so well worth doing! The added bonus is that all the tours are completely FREE! 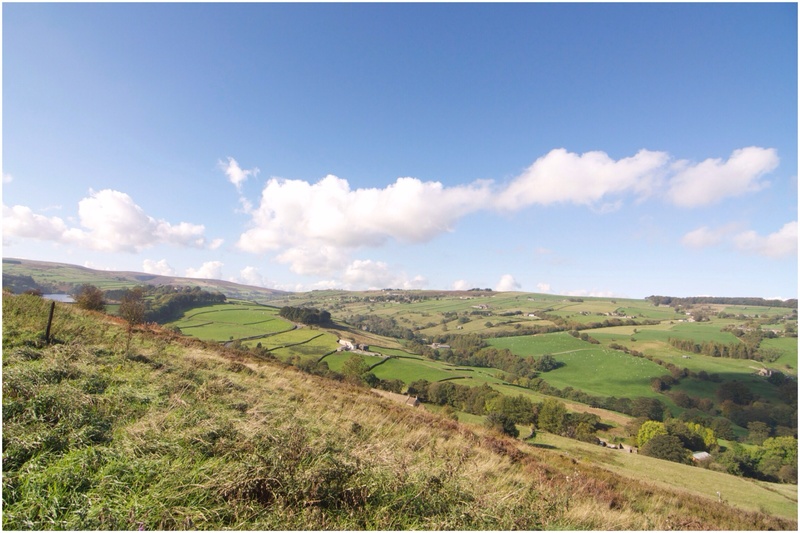 Yorkshire is the UK’s largest county and I think it’s a great place to live in! There’s no bias going on here, as I’ve got no reason to be; especially because I’m not from here. However, after moving to Leeds in 2000, my penchant for a good old day trip has allowed me get to know the place a bit better. 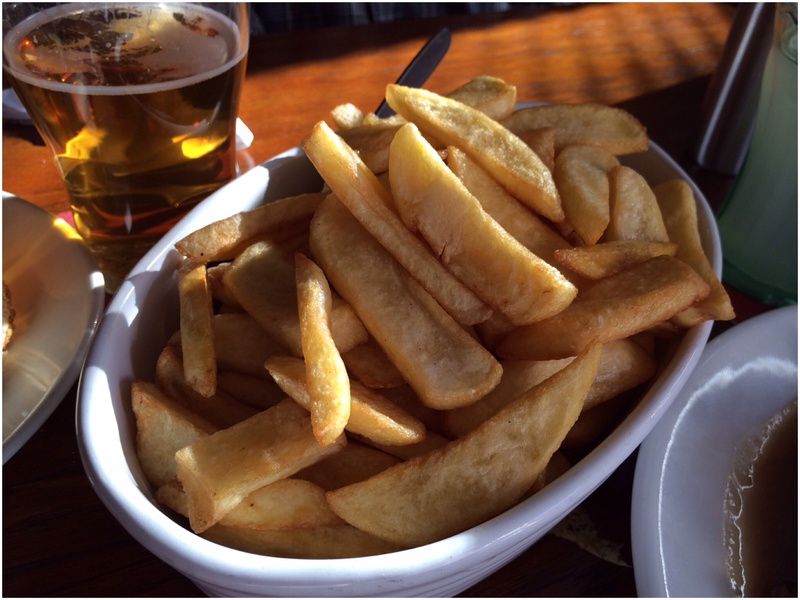 When I thought about the old-school stereotypes often associated with Yorkshire, the phrase ‘flat-cap and whippet’, Last of the Summer Wine, Yorkshire Pudding and Wensleydale cheese, amongst others, sprung to mind. These were things that as a person uneducated on the area had thought before actually living here. 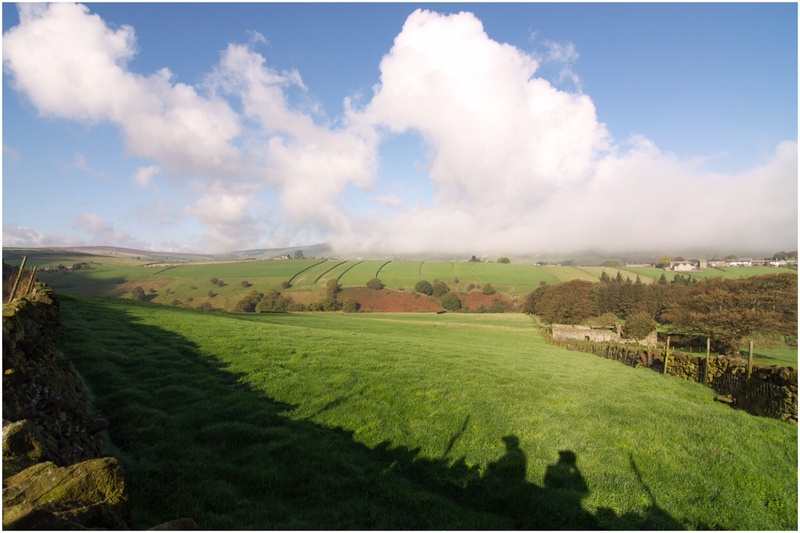 But there’s so much more to the county, and it has a great deal to offer with coastal regions, National Parks, Areas of Outstanding Natural Beauty (AONB) and loads of cultural and historic landmarks. As you can imagine with food, I’ve documented much of what I’ve seen with photographs, literally thousands. I often look back, open an album and happily day dream about trips and mini jaunts around the county. So I thought it’d be a nice idea to share some of the places I’ve enjoyed visiting, I hope you don’t mind. 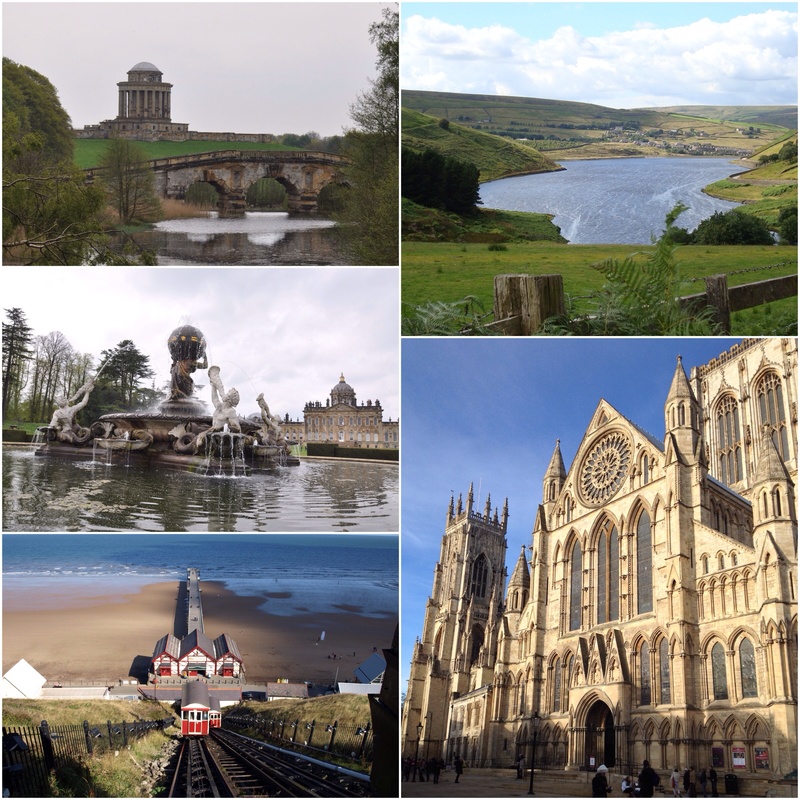 Being the largest in the country, I don’t think I’ll ever be able to see and do everything on offer in Yorkshire, but here’s a selection of the places that are memorable to me. There’s no order as such; I’ve just started with landmarks in Leeds and then worked my way outwards. 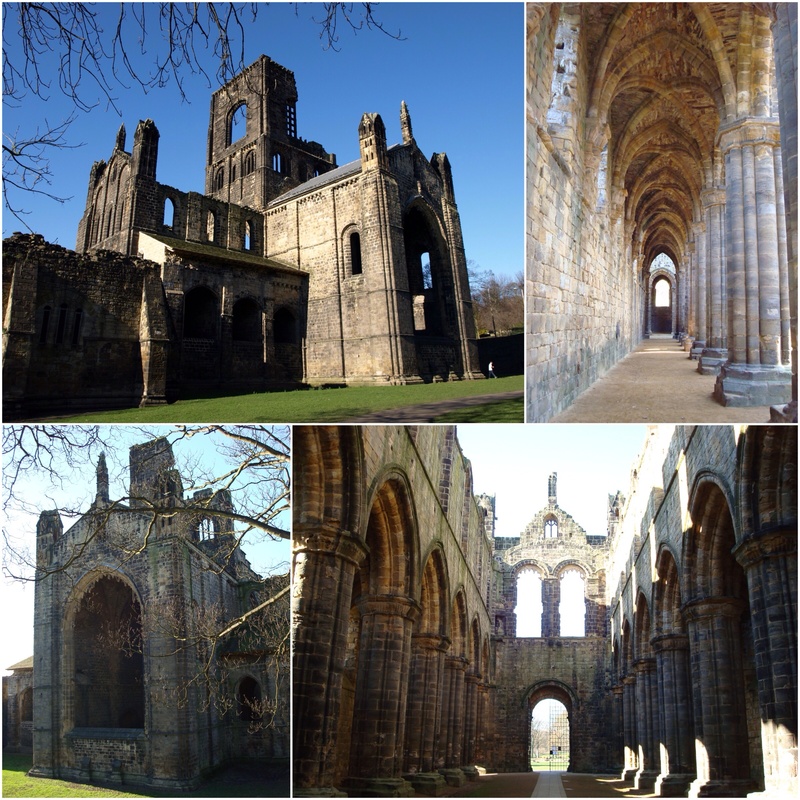 Kirkstall Abbey – I used to live just up the road in Leeds and see this gem every day. 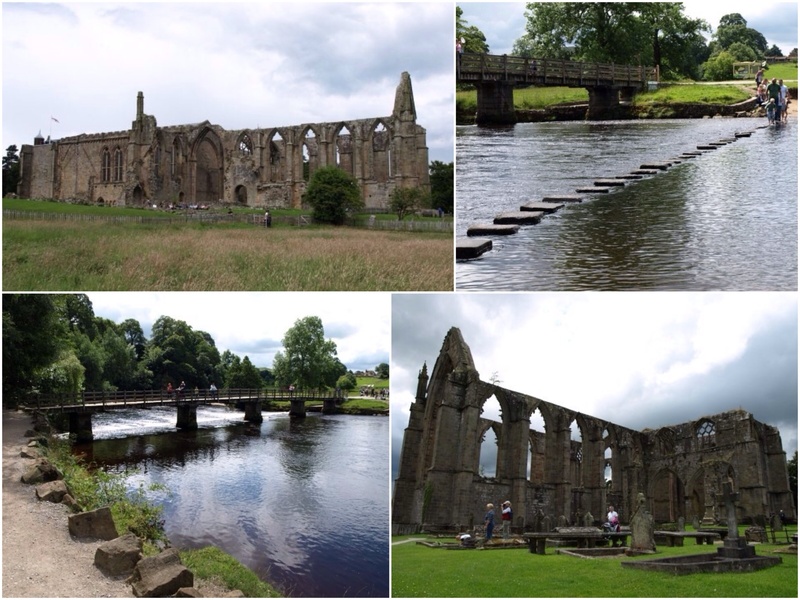 With the River Aire running alongside the grounds surrounding the abbey, it’s an amazing sight whether strolling through the park, driving past or nowadays when I run passed. The abbey and grounds are still used for local cultural events, such as monthly Kirkstall Deli Market and yearly held Classical Fantasia. One memory that’ll always stick in the mind was a friend’s birthday celebrated with a sports day in the grounds! Three-legged, sack, egg and spoon and wheel barrow races galore all went on, all whilst swans gracefully swam passed us! 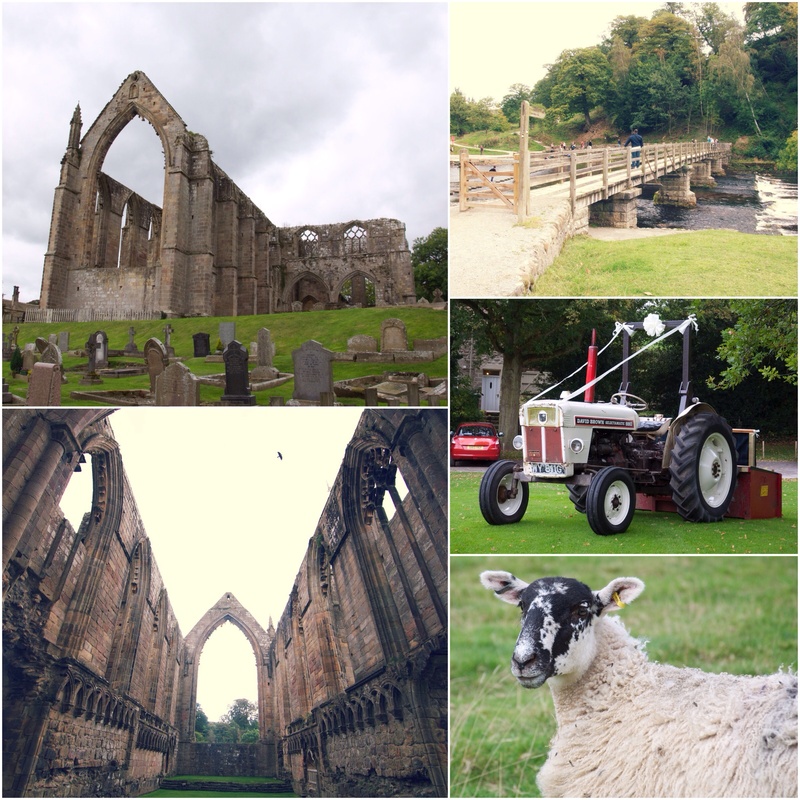 Bolton Abbey is slap bang in the Yorkshire Dales on the banks of the River Wharfe. With the Priory ruins surrounded by beautiful countryside, and mile after mile of footpaths. There’s plenty of space to explore and relax in, whatever age you are, I always like to test my nerve and cross the river using the 57 stepping stones which span it. The Strid Wood down the river is another lovely part to see if you get the chance. 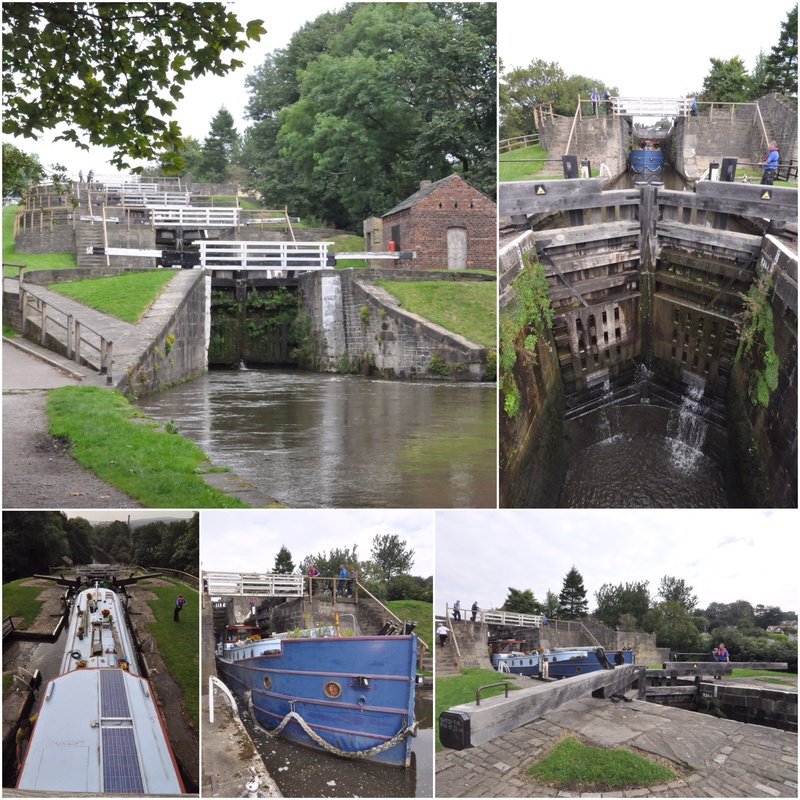 Bingley Five Rise Locks – a well known landmark of the Leeds and Liverpool Canal, it first opened in the 1700’s and is operated by long-standing lock keeper Barry Whitelock MBE. Five Rise Locks are the tallest set of locks in the country. Yorkshire is crazy lucky to have so much art and creativity in abundance, across the region. 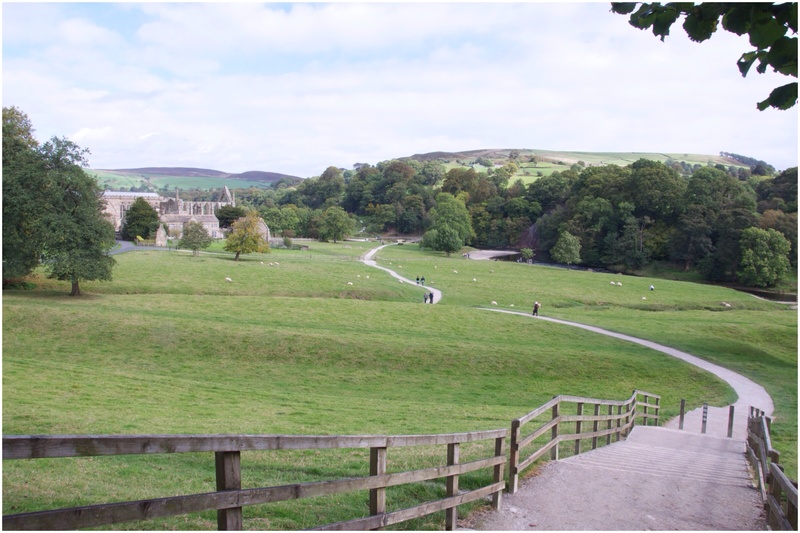 Highlights include The Yorkshire Sculpture Triangle; made up of the Yorkshire Sculpture Park, The Hepworth Museum, Leeds Art Gallery and the Henry Moore Institute. If that’s not enough, Salts Mill built by Sir Titus Salt in Saltaire is home to the art of David Hockney. 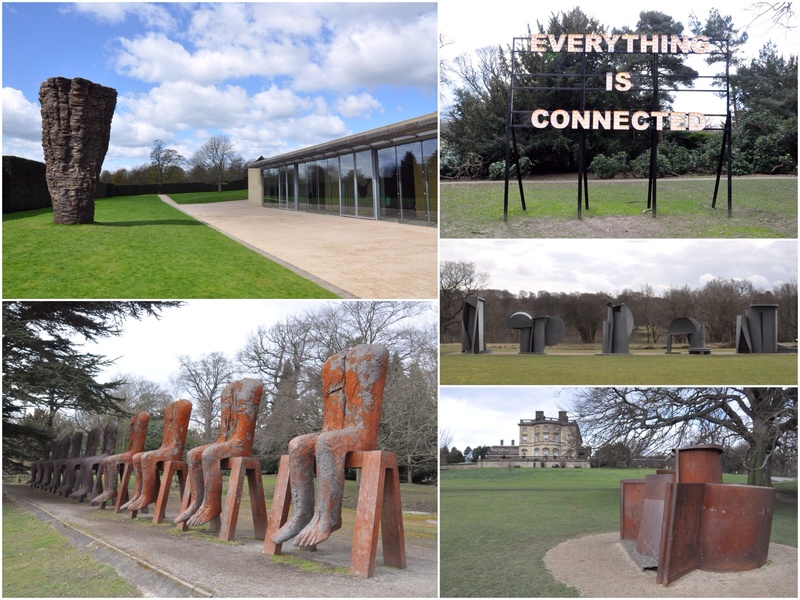 Yorkshire Sculpture Park is one of the best, if not the best, outdoor art space currently in the UK, just this year it was named Art Museum of the Year 2014, by the Art Fund. With indoor galleries, acres of beautiful parkland and the River Dearne in West Bretton, they showcase contemporary and modern art from some of the world’s leading artists. There’s always something new to see and experience and is one of my favourite places in the county. 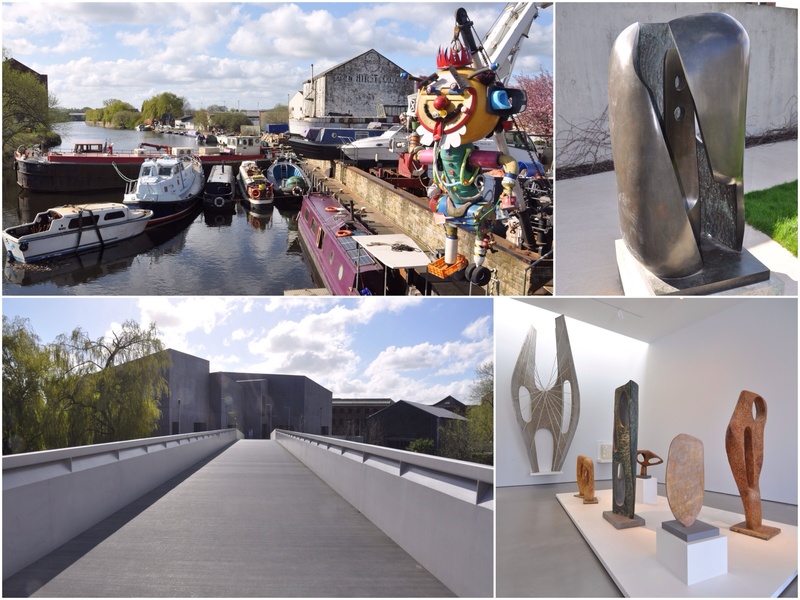 Hepworth Museum – I like to think of the Hepworth as a modern beauty on Yorkshire’s landscape, located on the edge of the River Calder in Wakefield. It exhibits contemporary art, the museums central focus is the work of Barbara Hepworth, and contemporaries such as Henry Moore and Ben Nicholson. 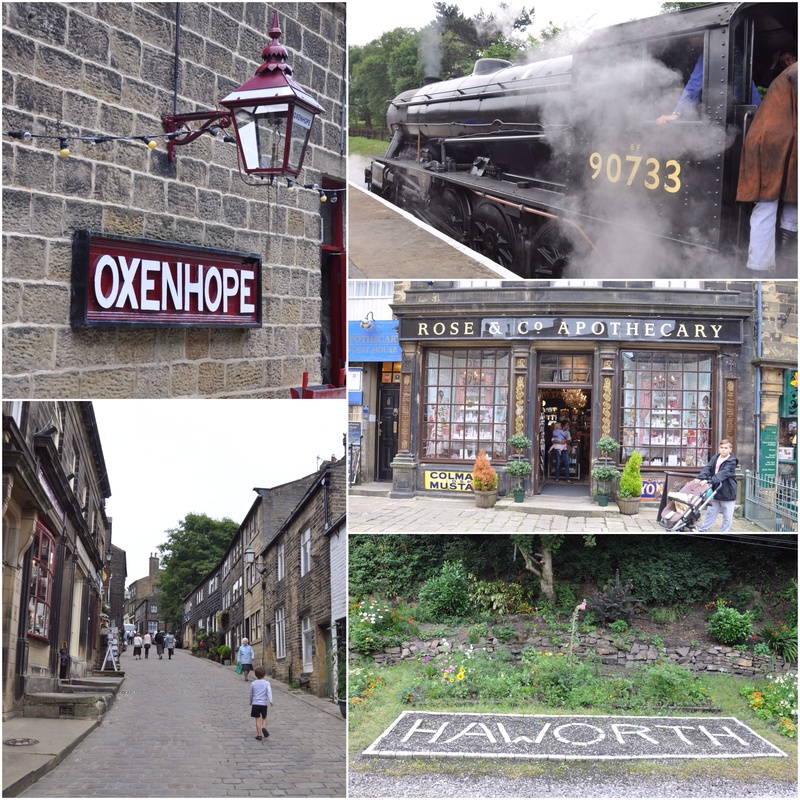 Haworth, Keighley & Worth Valley Rail – the in-laws are very knowledgeable on Yorkshire as a whole, and were the first to introduce me this part of the world. I’d watched the film The Railway Children as a child, but had no idea it was filmed on location near here. 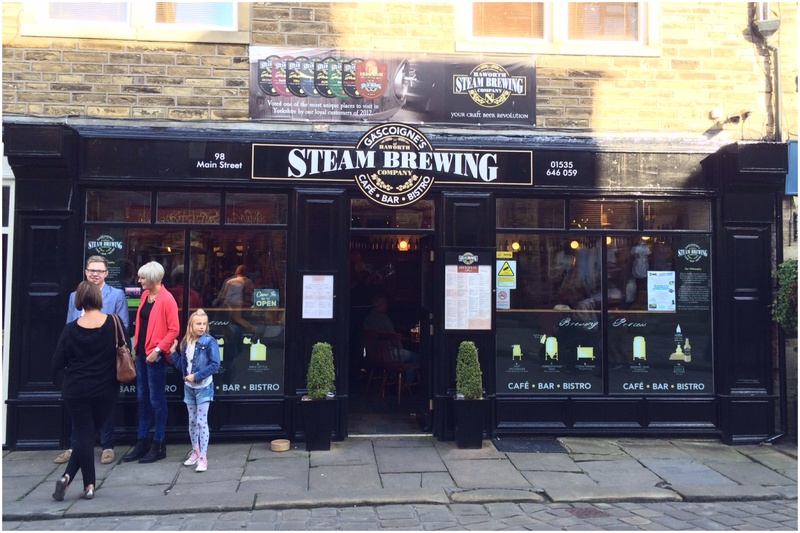 A trip to Haworth on an original steam train is the start of a lovely day out for the family! 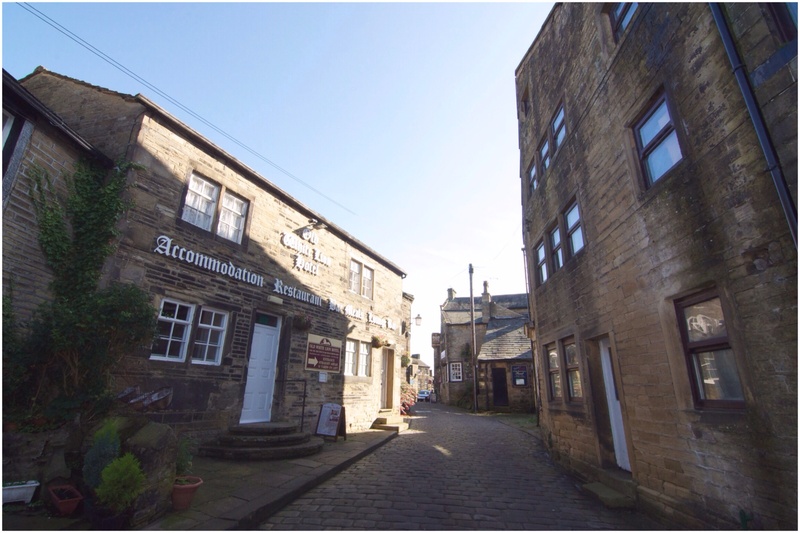 It’s not just the railway that attracts visitors, but the areas connection to the Brontë sisters, quaint shops, such as Rose & Co’s Apothecary and the rugged outdoors of Haworth. 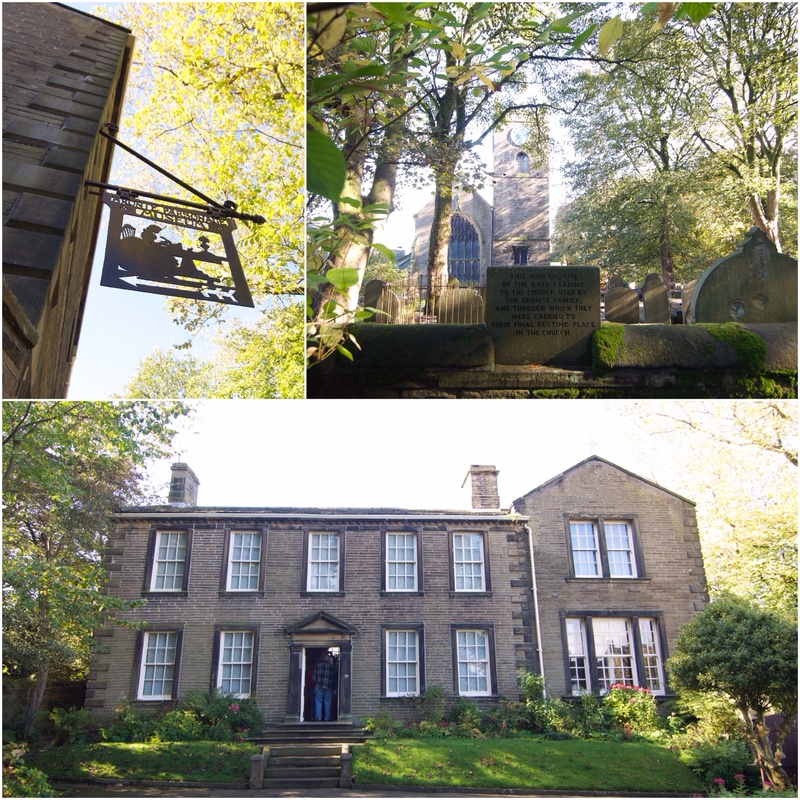 The area is synonymous with beautiful countryside, and often called Brontë country due to its links to the books. 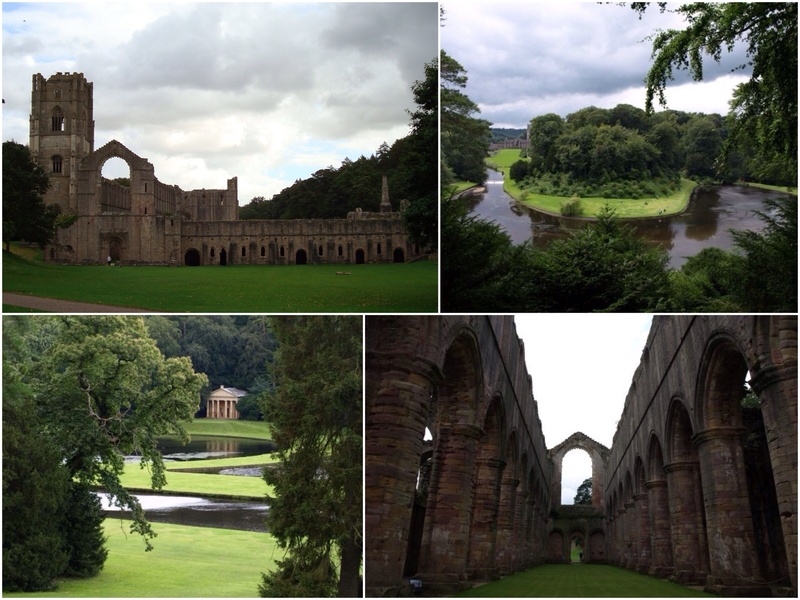 Fountains Abbey and Studley Royal Water Garden found near Ripon, is Grade I listed and on the prestigious list of UNESCO World Heritage sights. A Cistercian monastery, one of the largest in the England which was disbanded by Henry VIII in the Dissolution of the Monasteries. The Abbey itself is stunning to wander through, but hours could be easily spent meandering around the water gardens surrounded by follies and other hidden treasures. One of the highlights for me is the view from Anne Boleyns’ seat which shows how the River Skell winds itself around the landscape. 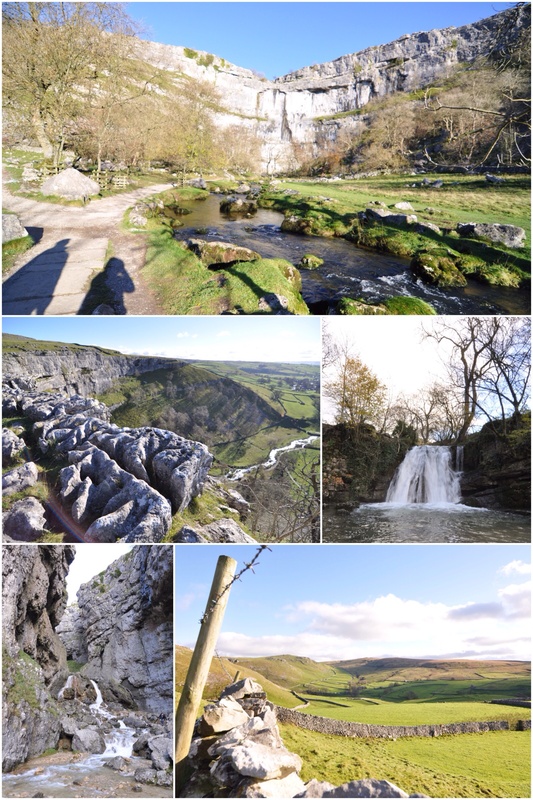 Malham Cove, Gordale Scar and Janet’s Foss in Malhamdale are three of the areas main draws. Well known for its limestone pavement, I remember spectacular views and gasping when the other half dropped off the edge to take a photo for me. Luckily he was on a lip, even to this day looking at the photo makes my stomach turn. The unusual landscape full of Clints (limestone blocks) and Grykes (gaps) created by acid erosion have resulted in a unique environment, so you’ll often see the likes of plants Wood Sorrel and Herb Robert. Gordale Scar is something that caught me unawares, as you don’t actually see it until you walk around and into the Scar. The waterfall was formed after the Ice Age and is often climbed by many a brave soul. Then a short walk away is waterfall Janet’s Foss, which carries the water from Gordale Beck into a pool. 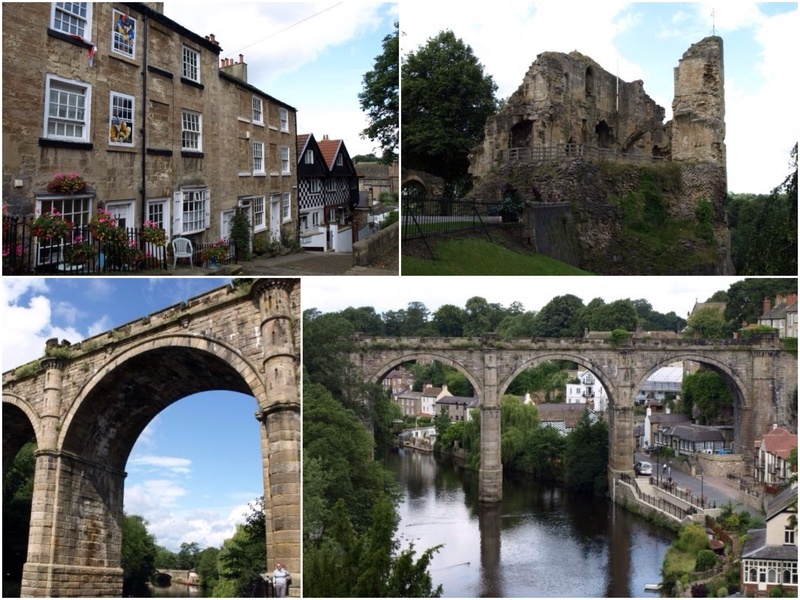 Knaresborough – this North Yorkshire market town is found around the River Nidd, Knaresborough Castle and Mother Shipton’s Cave are well-known landmarks easily within reach on a day trip. The view of the aqueduct spanning the river is stunning, and definitely worth a moment of anyone’s time for a photo opportunity. Other local gems York, Harrogate and Ripon are close by. 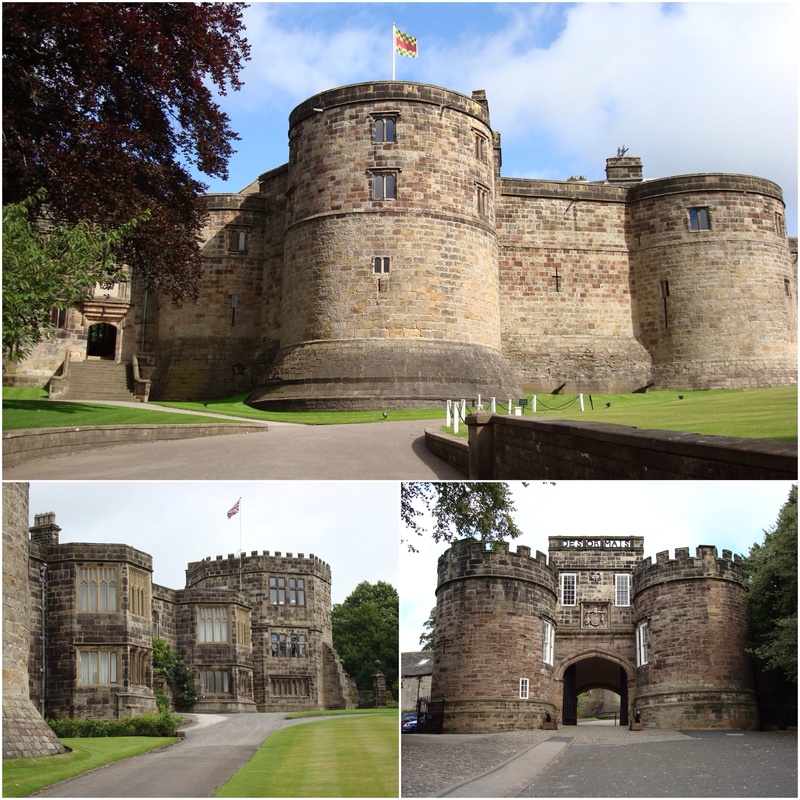 Skipton Castle – I love Skipton Castle! I’m a big castle fan anyway, I don’t know why, I just love ’em and have visited quite a few! This one is particularly special because at over 900 years old it’s been very well preserved and still has it’s roof intact! When you visit you get an excellent map which sends you on a trail around the castle to explore. 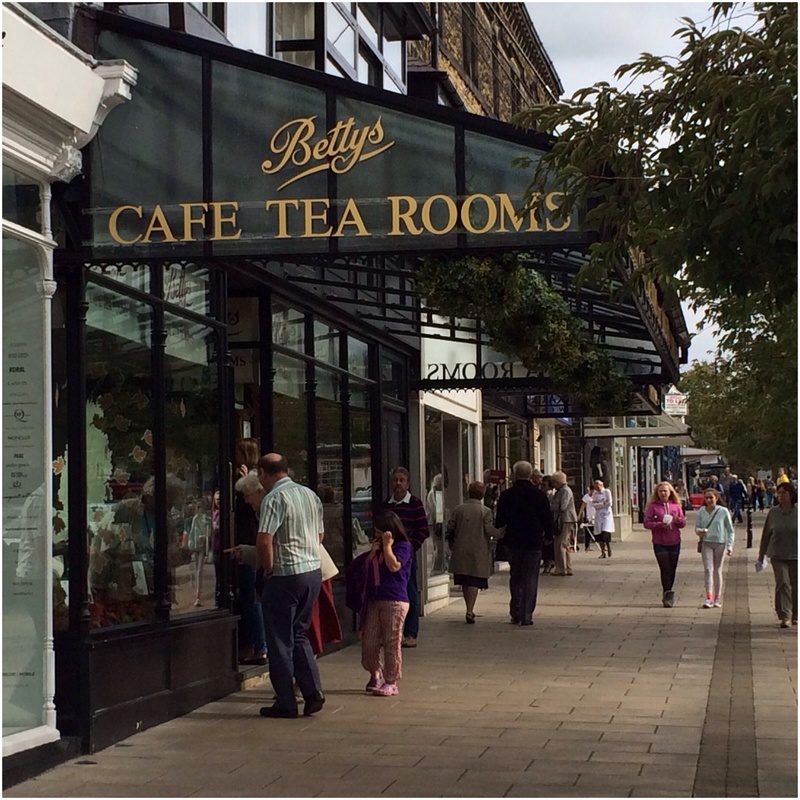 The area of Skipton is lovely in itself and this year came top in The Sunday Times’s annual survey to find the 101 Best Places to Live in Britain, not bad eh?! 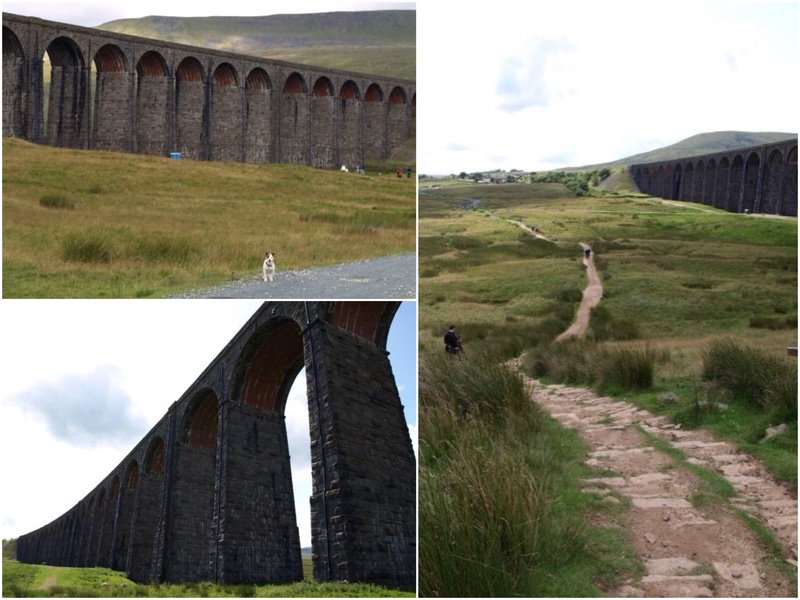 Ribblehead Viaduct – the 24 arches of this viaduct is an attraction of the Settle-Carlisle Railway. 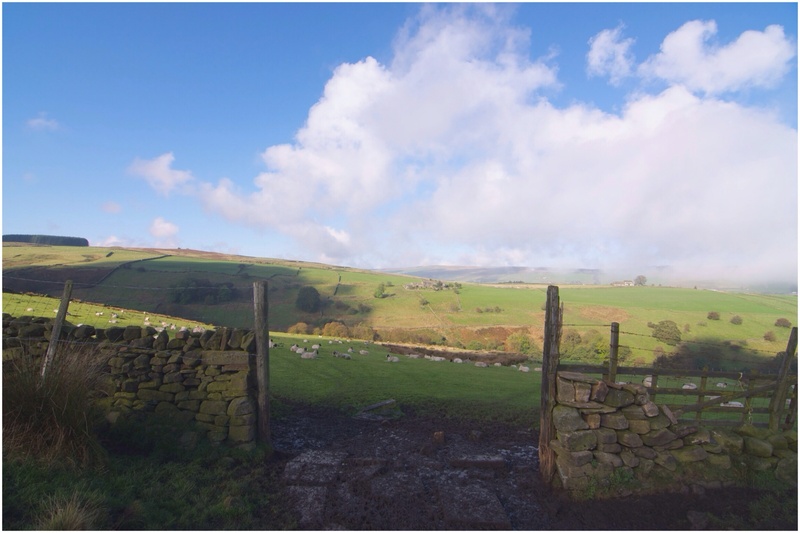 The train journey provides you with lots of beautiful landscapes, such as Bingley Five Rise Locks and the Three Peaks Ingleborough, Whernside and Pen-y-Ghent. 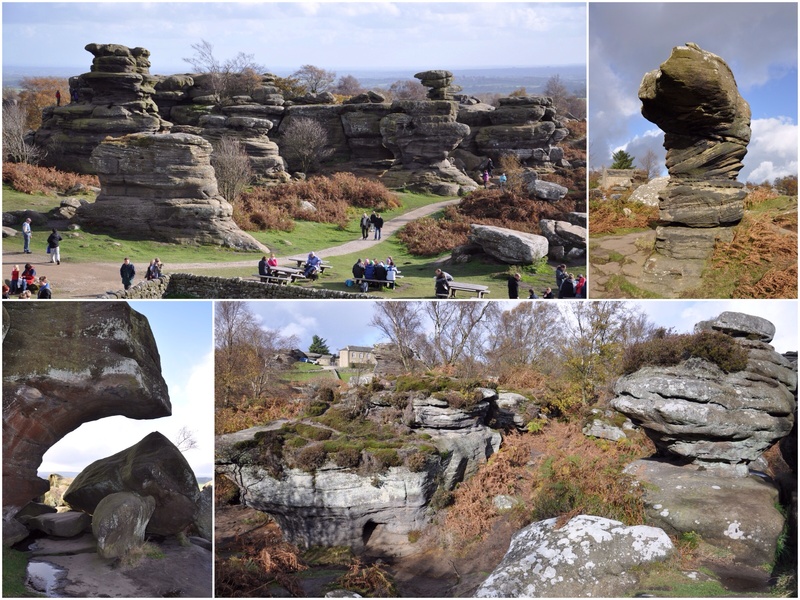 Brimham Rocks in Nidderdale is where’ll you find unusual rock formations, some seem to balance as if by magic. 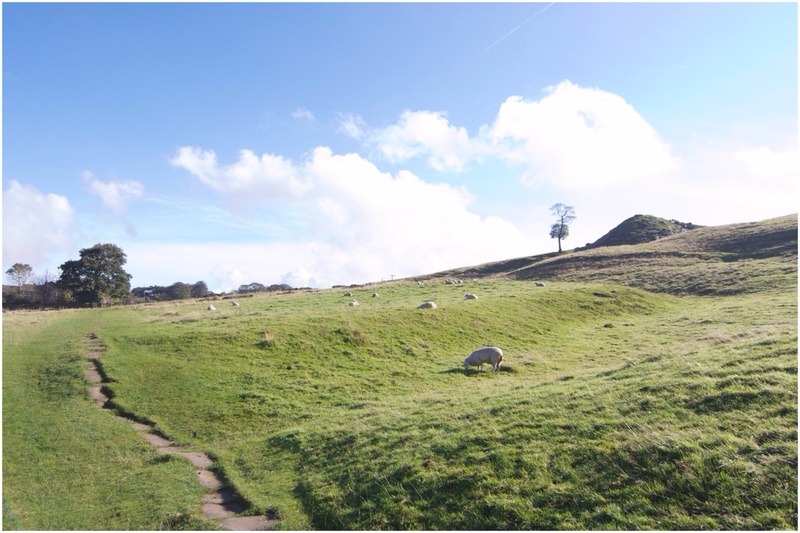 The other half remembers visiting as a child and is often frequented by families as it’s a fab day out with tonnes of exploring potential. Views stretch out as far as 40 miles in some parts and throughout the year, the views change as plant types change with the seasons. 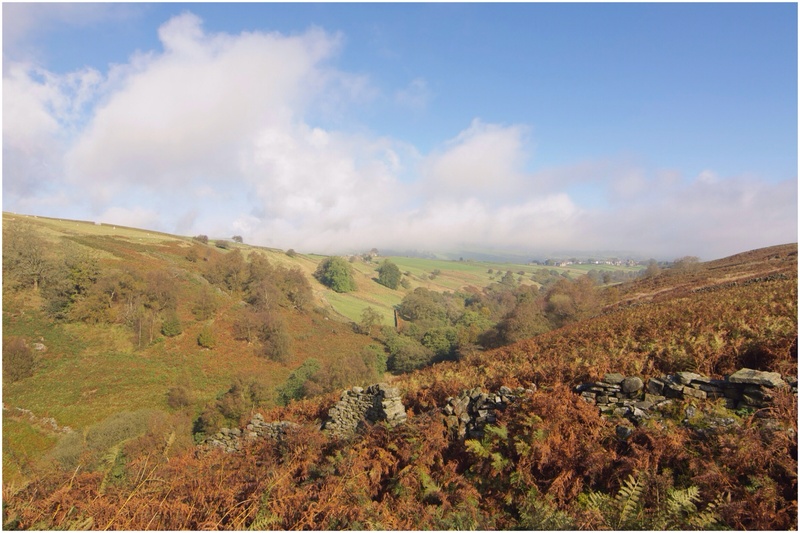 A few miles away is the delightful Pateley Bridge too. 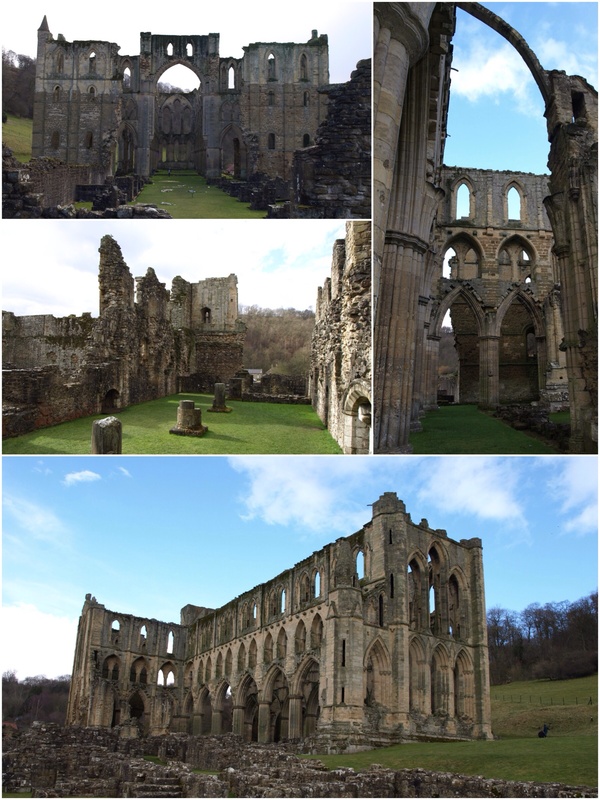 Rievaulx Abbey – one of county’s most beautiful abbey ruins, found in the North Yorks Moor National Park, close to Helmsley and has the River Rye running nearby. I just love how beautiful and peaceful the place is! 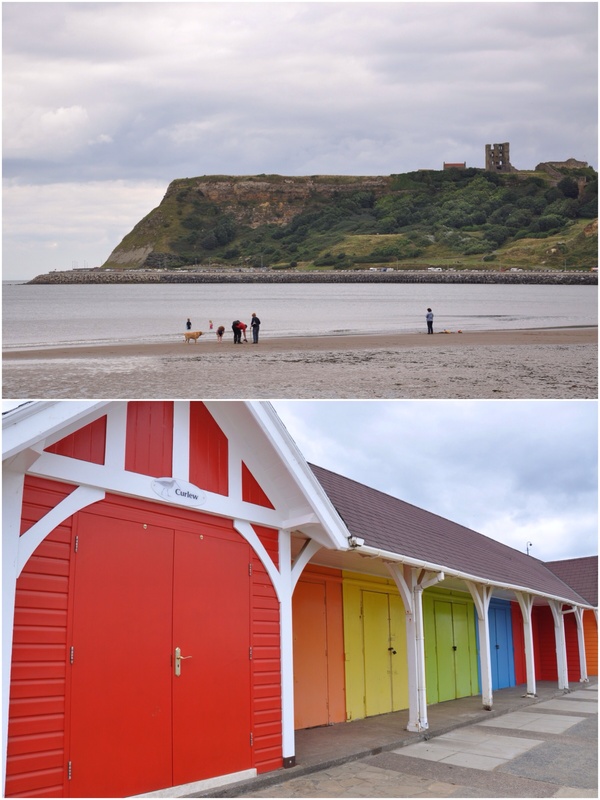 Yorkshire is fortunate to benefit from some beautiful coastal areas, such as Whitby and Scarborough, all have a unique character of their own and great fish and chips! Whitby with their ever present red-roofed houses, Whitby Abbey and the 199 steps which need to be ascended to reach it, for those lovers of fish and chips the famous The Magpie Cafe is a landmark. Scarborough with two beaches (North and South) separated by a rocky headland where Scarborough Castle is found. 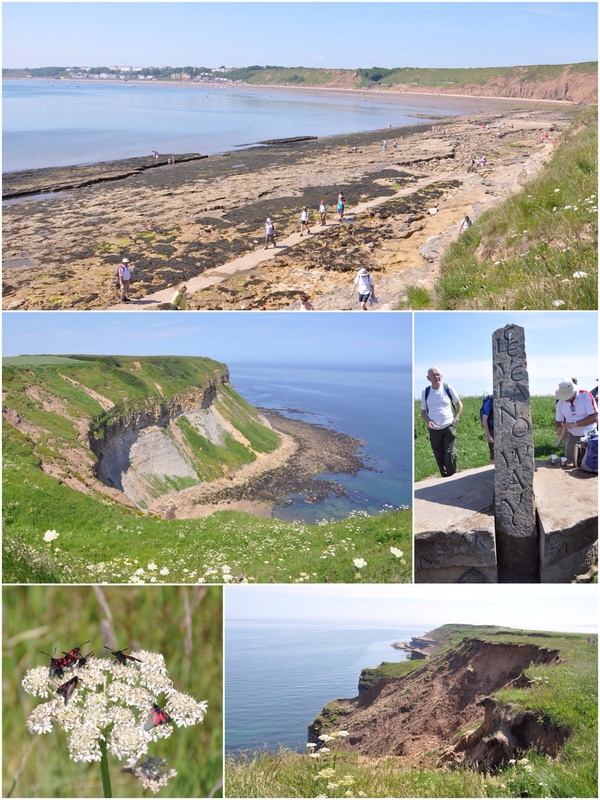 Nearby popular landmarks include Filey and Flamborough Head. 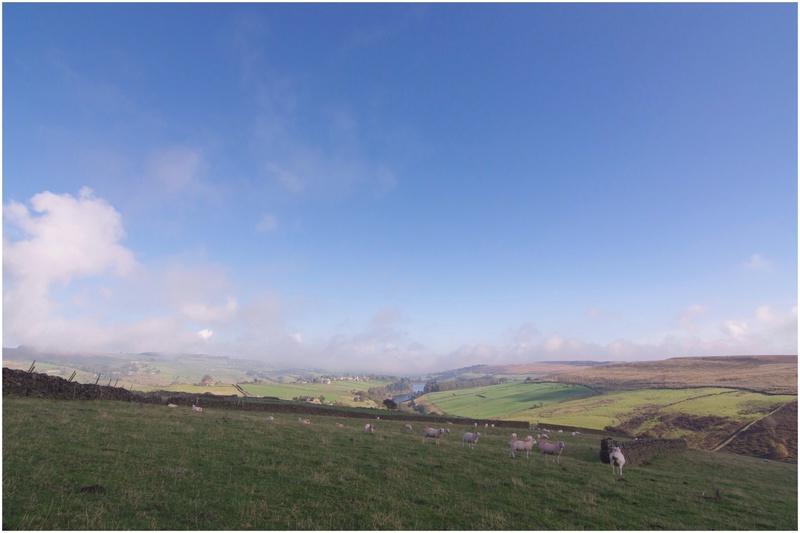 Now as you can imagine with Yorkshire being so vast, looking after it is by no means an easy task, so Yorkshire Water has put together a plan called Blueprint to ultimately ‘take better care of our little part of the world’ and try to do their bit. Such as improving the quality of water at our beaches to increase the number achieving blue flag status. 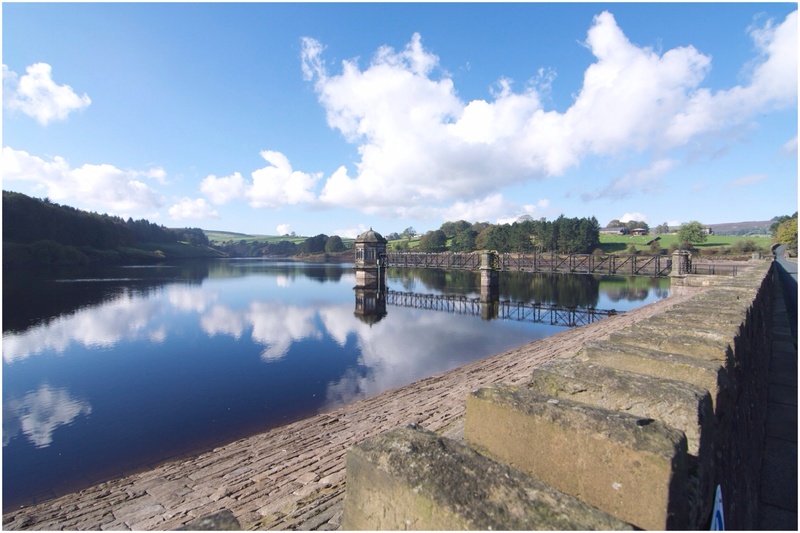 Make sure the regions sewers and reservoirs are well maintained and working with the Environment Agency to improve the areas natural environment. Hopefully the work they’ve already done and plans they have for the future will bring even more tourism and draw in new businesses to the county. 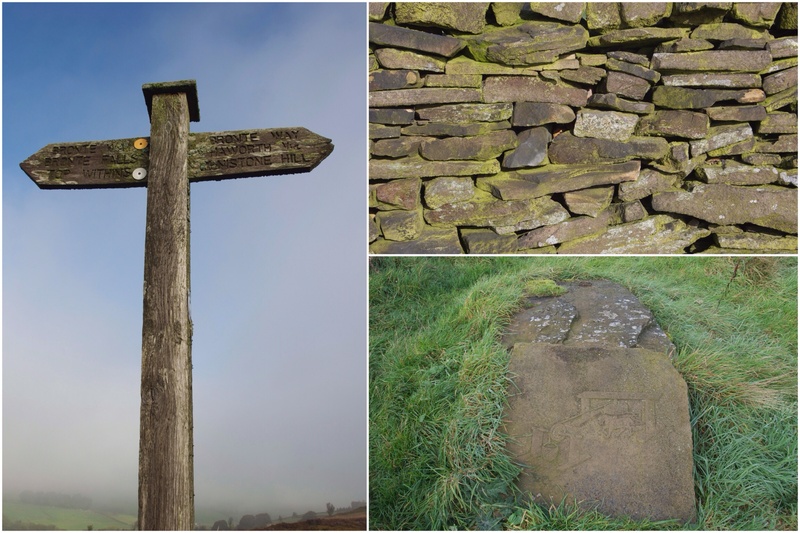 So if you’ve got this far, I’ll just say ‘thanks for reading!’ I personally think any investment to improve the area is fantastic, and as part of writing this post and looking at the county, it’s given me a thirst to explore the region even further. 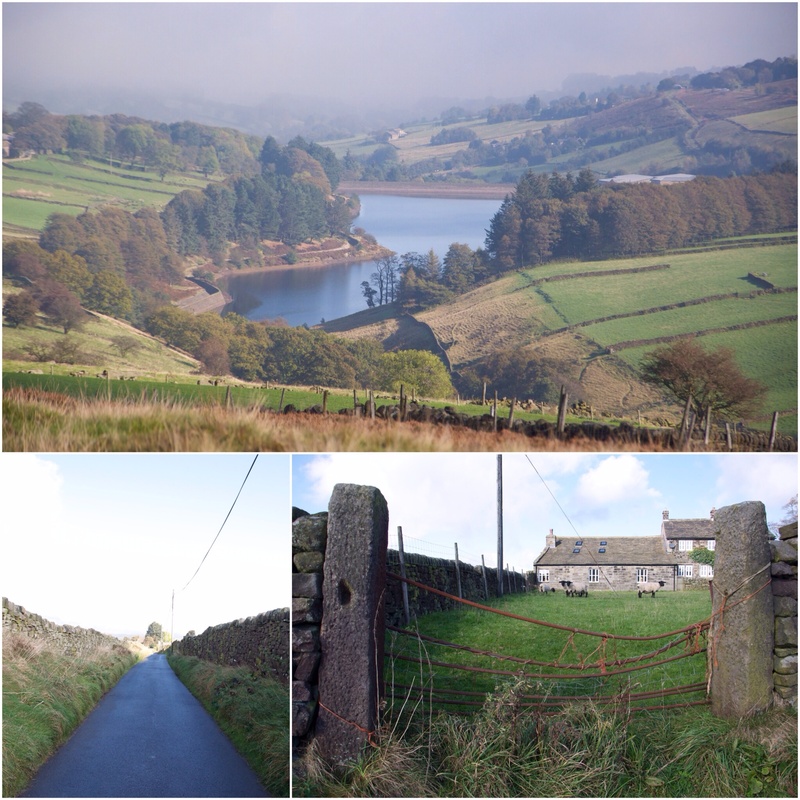 I know I’ve only scratched the surface of the beauties in Yorkshire, where in the county do you love to visit and why? I’d like to read some of your ideas! 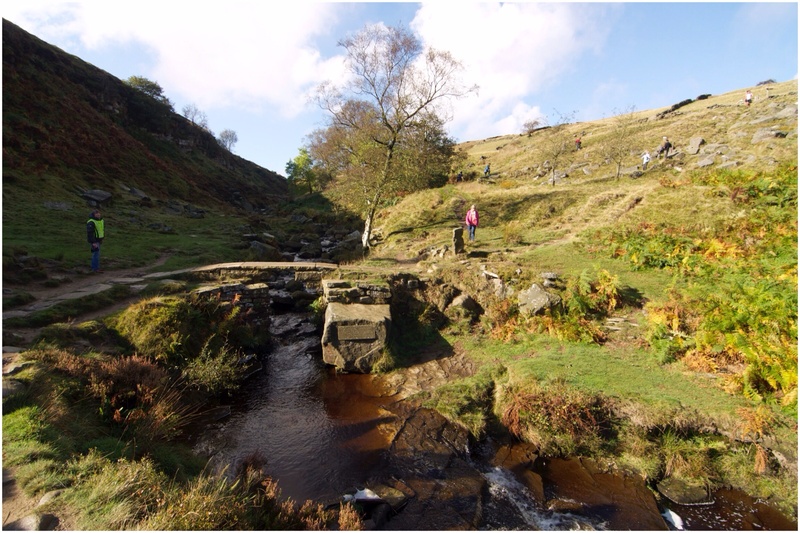 DISCLAIMER: I am writing this post to promote Yorkshire as I’ve always loved the area and what it has to offer, part of this was to mention Yorkshire Water’s Blueprint for Yorkshire as a sponsored post.